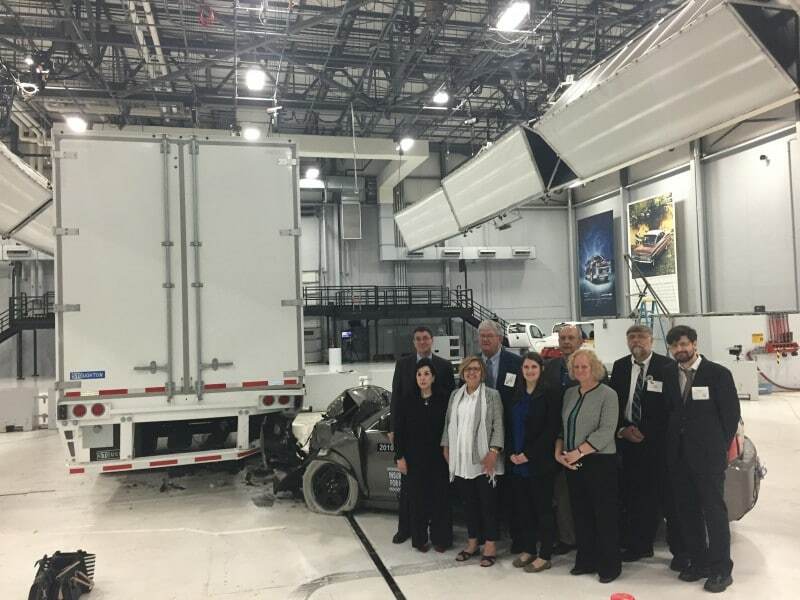 Today, the Government Accountability Office (GAO) released a report, Truck Underride Guards, Improved Data Collection, Inspections, and Research Needed. The report underscores the serious need to improve reporting, coding, and analyzing of federal crash data, specifically for truck underride crashes. Currently, there are widespread discrepancies in the way underride is defined by law enforcement officers, differing data fields or elements relating to underride depending on the state crash form (if it is present at all), and no common definition of what constitutes a truck underride crash. This leads to truck underride crashes, and the resulting injuries and fatalities, being missed at various points from the data collection process, which, ultimately results in an undercount of the total number of truck underride crashes. Improvements are urgently needed to this data collection process. Additionally, commonsense solutions are necessary to reduce underride crashes including comprehensive underride protection which can prevent these needless deaths and injuries. the agencies have deemed rulemakings to improve rear underride guards as long-term action items, meaning they have been delayed by at least one year. We are hopeful the NTSB’s Most Wanted List will motivate lawmakers to pass legislation to ensure that the National Highway Traffic Safety Administration (NHTSA) and Federal Motor Carrier Safety Administration (FMCSA) reintroduce and finalize several lifesaving regulations. We agree with the NTSB that NHTSA and FMCSA should finalize a rule require use of speed limiters in our biggest trucks. However, considering this technology is already standard in most trucks, we support a rule requiring existing trucks to use speed limiters set at 65 mph – not just new trucks. With so many other countries having mandated this technology for decades and so many companies voluntarily setting the speed limiters in their trucks to great success, there is no reason to delay the heavy vehicle rulemaking any longer. Likewise, the rulemaking for automatic emergency braking on large trucks has stalled at NHTSA, and the FMCSA has failed to produce reports on technology barriers and market research as well as a final report – all of which were due in 2018. This is unacceptable in light of the fact that a large truck rear-ends another vehicle every 15 minutes in this country. We need Members of Congress to act now on the NTSB’s recommendation and mandate automatic emergency braking on large trucks. The public overwhelmingly supports Congressional action to require use of both of these proven technologies. In a nationwide survey conducted by McLaughlin Associates in September of 2018, 79 percent of respondents supported Congress requiring large trucks to have their speed limiters set at a maximum speed of 65 miles per hour and 82 percent supported Congress requiring large trucks to use automatic emergency braking. instruct the examiners to use the recommendations as guidance when evaluating for OSA risk. 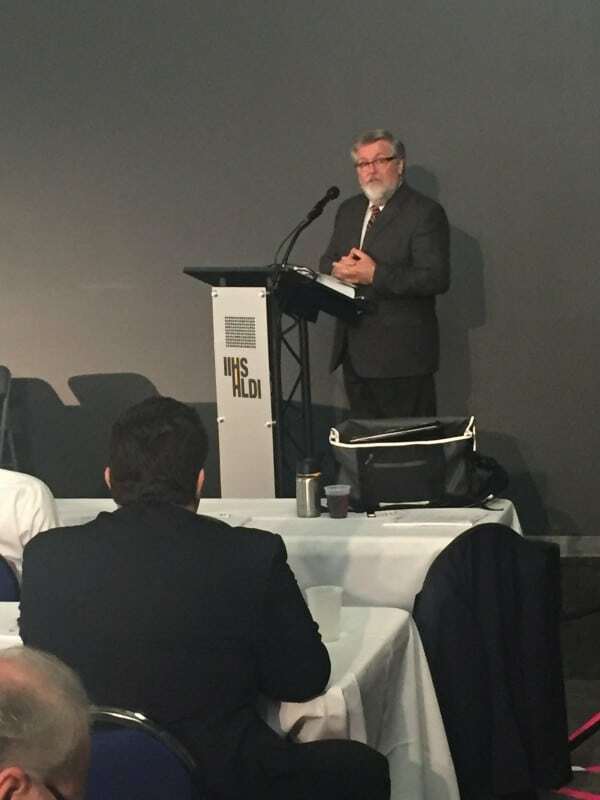 We also agree with the agency that the FMCSA should establish an ongoing program to monitor, evaluate, report on and improve fatigue management programs implemented by fleets. Fatigue-management is not an event but rather a process; it should be continually revisited, review, and revamped. While a final rule already exists that bans the use of hand-held cell phones for truck drivers, we agree with the agency that more must be done to combat distracted driving as it relates crashes involving large trucks. There are two types of truck crashes where distraction can lead to deadly consequences due to the fact the U.S. has inadequate truck safety laws. The first type occurs when a truck driver becomes distracted and fails to operate safely. Absent automatic emergency braking, the truck may not slow down or stop before impacting another vehicle thus making it more likely for injury or death to occur. Absent front underrun protection devices there is an increased likelihood that the truck will travel over and rest atop the other vehicle(s). As we noted above, we agree with the NTSB and a majority of the public that large trucks should be equipped with and be mandated to use AEB, both as it relates to implementing collision avoidance systems in all vehicles as well as reducing the effects of distraction. However, the NTSB did not include any recommendation for NHTSA to study or ultimately mandate large trucks to have front override guards. In the future, we hope the NTSB looks into the success of other countries that have required their trucks to have front override guards and includes it as a recommendation related to improving occupant protections. 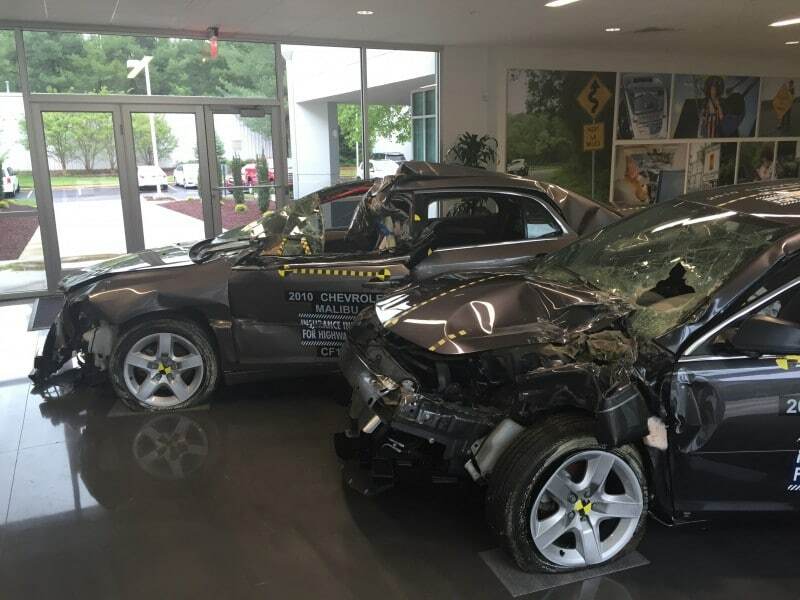 The second type of crash, which also underscores a major vehicle design flaw that nullifies many passenger vehicle occupant protections, occurs when a passenger vehicle operator becomes distracted and fails to operate safely. Absent strong rear and side underride guards, the operator of a passenger vehicle becomes at risk of traveling underneath a trailer because occupant protections in most cars, like the crumple zone and the airbag deployment sensors, are bypassed, thus exposing the driver and/or passengers to severe neck and head trauma. Sadly, the public, lawmakers, and regulators have known about these crash compatibility issues for more than half a century. In that time, inaction on requiring side guards and improving inadequate standards for rear guards has led to thousands of unnecessary deaths and debilitating injuries. Moving forward, we urge the NTSB to include recommendations for mandating side underride guards and strengthening rear underrides on semi-trailers and single unit trucks as it relates to improving occupant protections. We hope that lawmakers and regulators will heed the safety expertise of the NTSB and act expeditiously on the aforementioned recommendations in order to greatly reduce truck crashes and the resulting injuries and deaths. Good morning Chairman Graves, Ranking Member Norton and Members of the Subcommittee. 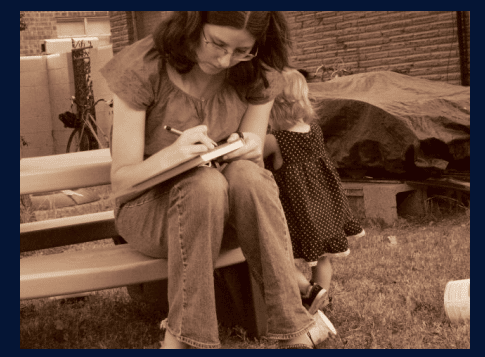 My name is Jennifer Tierney and I am a board member of the Citizens for Reliable and Safe Highways (CRASH) Foundation as well as one of millions of Americans whose loved one was killed in a truck crash. I traveled to be here today from my home town of Kernersville, North Carolina, and am pleased to see my fellow North Carolinians on this Subcommittee, Congressmen Meadows (R-NC-11) and Rouzer (R-NC-7). My motivation to be testifying before you comes from the loss of my daddy, James Mooney, and the goal of preventing other families from suffering preventable truck crash fatalities and injuries. My dad was killed in a horrific truck crash on a dark back country road when he crashed into the side of a truck trailer blocking the roadway. The truck, which was in a jackknife position, did not have working lights, reflective tape or underride guards. Since that time nearly 35 years ago, I have served as a volunteer for CRASH which has teamed up with Parents Against Tired Truckers (PATT) to form the Truck Safety Coalition (TSC), whom I am here representing. TSC coordinates thousands of volunteers across the nation who are truck crash survivors as well as families and friends of truck crash victims. 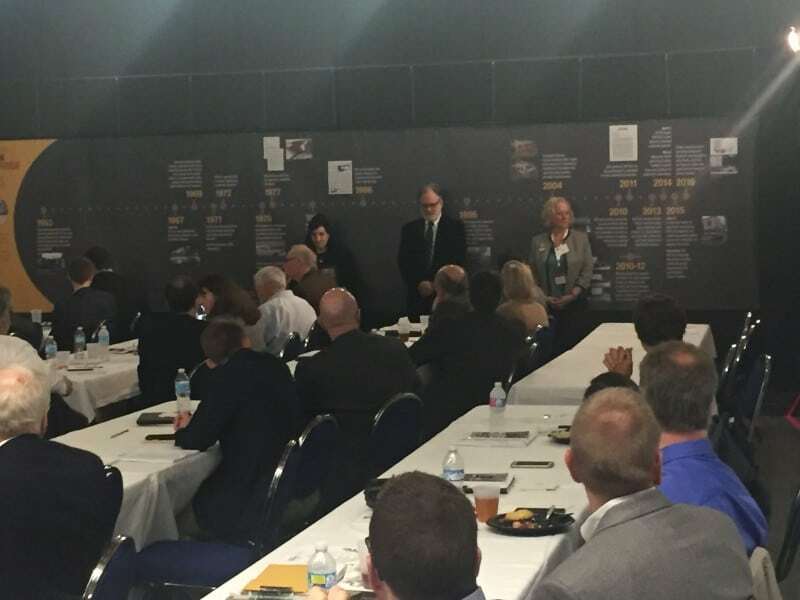 Our volunteer network educates the public and lawmakers about data-driven policies to improve truck safety. Unfortunately, I do not have good news to share with you today regarding the status of truck safety on our Nation’s roadways. Truck crashes, deaths and injuries have been dramatically rising in recent years. Since 2009, annual truck crash fatalities have increased by 28 percent. In 2016, 4,317 people were killed in truck crashes, and early data for 2017 indicates truck crash fatalities are up another 10 percent. During that same time, truck crashes and resulting injuries have also risen to 475,000, and 145,000 respectively. Despite these worsening trends, key safety initiatives that could both mitigate and prevent truck crashes continue to languish or even worse — have been withdrawn. We cannot accept these intolerable figures as the cost of doing business or allow ourselves to fall into complacency when we have available countermeasures to curb this needless carnage. The reality is that the annual truck crash fatality toll amounts to over two dozen commercial airplane crashes each year. Yet, our nation responds to truck crash fatalities and airplane crash fatalities in starkly different ways. Just last month, we tragically experienced the first death in a commercial airline incident in nine years. Newspapers and telecasts covered it, the National Safety Transportation Board sent a team to investigate it, and there was palpable public interest in preventing it from occurring again. Meanwhile, that same day, roughly 1,300 truck crashes occurred, killing 12 people and injuring 400 more (figures based on averages). There was no national coverage, no federal investigation, and no public outcry. The good news that I do have to share with you is that we have proven solutions that can reduce crashes, prevent injuries, and most importantly, save lives. My comments will focus on the following policies that can improve truck safety and the appropriate steps to implementing and enforcing them. Automatic emergency braking (AEB) is a proven technology that leading trucking companies and other countries have been using for years to reduce the number of crashes their truck drivers are involved in and to mitigate the severity of truck crashes that do occur. The Truck Safety Coalition as well as other safety advocates filed a petition to initiate a rulemaking that would mandate automatic emergency braking, which the National Highway Traffic Safety Administration (NHTSA) granted in October of 2015. Since then, the agency has taken no further regulatory action. This should change immediately, and I urge Members to require NHTSA to take immediate action for several reasons. The benefits of AEB technology are well known. In the United States, some motor carriers have been using AEB for at least 10 years and have established beyond question its effectiveness and reliability. For example, Schneider National, a major trucking company, experienced a 69 percent decrease in rear-end crashes and 95 percent reduction in rear-end collision claims since it began equipping all new tractors with OnGuard Collision Mitigation Systems in 2012. Likewise, Con-way (now a part of XPO Logistics) saw reductions in their rear-end crashes after they equipped their trucks with AEB. The company performed an internal study to determine the extent to which a suite of safety technologies (AEB, electronic stability control (ESC), and lane departure warning) installed on the trucks in its fleet reduced the frequency of various types of collisions. They found that trucks equipped with the suite of safety systems had a lower crash rate and frequency of engagement in risky driving behavior compared to vehicles without such systems; these trucks exhibited a 71 percent reduction in rear-end collisions and a 63 percent decrease in unsafe following behaviors. Yet, data from NHTSA indicates truck crashes continue to increase thus unsafe companies are getting in more crashes at a faster rate than these companies are reducing their collisions. From 2009 to 2016, the number of trucks involved in crashes in which a truck rear-ended a passenger vehicle went up by 82 percent. This shows that while voluntarily adoption is admirable, it is not enough. In 2012, the European Union (EU) mandated all new trucks to be equipped with AEB beginning in 2015. This was just one more step towards safety that the U.S. can and should take to achieve similar truck safety improvements to the EU. In 2009, the EU experienced roughly 1,600 more annual fatalities resulting from large truck crashes than the U.S., but by 2015, the EU saw approximately 200 fewer people dying in these types of crashes on their roads. Clearly, policymakers are doing something right in the EU to experience such drastic reductions in truck crash deaths. In addition to experiencing far greater reductions in truck crash fatalities compared to the U.S., the EU may have also benefitted from this technology in mitigating the damage of a terrorist act. Some newspapers reported that automatic emergency braking was engaged during the Berlin truck attack, thus limiting the number of people who could have been killed and injured. Considering the Transportation Safety Administration (TSA) put out an advisory to rental truck companies concerning a rise in vehicle-ramming attacks, I urge this Subcommittee to also consider the national security benefits requiring this technology can provide. Moreover, the American Trucking Associations (ATA) has voiced support for this technology. 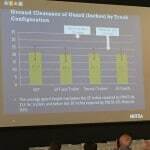 The ATA stated that they “strongly recommend that all vehicles (light and heavy) be equipped with forward collision warning and mitigation braking technology.” Given the data as well as industry support, we urge this Subcommittee to take action to require all new trucks are equipped with AEB. A final rule requiring the use of speed limiting technology set at 65 mph or lower should apply to all large trucks. There is a plethora of evidence confirming the effectiveness of speed limiters in improving safety. A recent study out of Ontario found that the incidence of heavy trucks speeding in a crash dropped 73 percent following implementation of the Providence’s speed limiter mandate. Moreover, the Ontario study directly debunked the claim that speed differentials would lead to an increase in overall crashes involving big rigs, finding no evidence of such an increase. In addition to the promising data out of Canada, the Federal Motor Carrier Safety Administration’s (FMCSA) own road-based study found that heavy trucks not using their speed limiters were in twice the rate of highway-speed crashes as those using them. Moreover, this life-saving technology has been a standard component in most trucks’ engine control modules since the 1990s because so many other countries already mandate their use on commercial motor vehicles (CMVs). As a result, most trucks would not require a retrofit but would instead simply need to have their speed limiter set. It should also be noted that numerous American companies use speed limiters voluntarily because it improves their profitability, operational efficiency, and safety. Additionally, speed governed trucks save motor carriers significant money on fuel, and on maintenance costs for tires and brakes, which last longer by limiting excessive speeding that can exacerbate normal wear and tear. Considering the studies highlighting the benefits and the successful adoption by safety-conscious companies, we urge this Subcommittee to take action to require speed limiter use by all trucks, existing and new. The minimum level of insurance of $750,000 has not been increased in the U.S. in nearly 40 years. The fact of the matter is that nothing costs the same today as it did back in 1980, which is why it is absurd that the minimum level of insurance required by trucks per incident has not been increased since then. It has not been adjusted for inflation or, more appropriately, for medical cost inflation. The results of these decades of inaction are devastating. Families must face the financial impact of under-insured truckers along with the emotional and physical destruction that is wrought by their crashes. Moreover, minimum levels of insurance were meant to serve as a barrier to entry for unsafe carriers and to shift the burden of oversight from the government to the private sector. Yet, these amounts are currently so inadequate that insurers fail to apply appropriate scrutiny, which allows chameleon carriers to enter the market, with no underwriting, and simply close down and reincorporate under a new name following a catastrophic crash. For the minimum insurance level to serve as a significant incentive for carriers to operate safely as Congress intended, it must be updated to reflect the current realities of the industry. Since 1980, truck weight limits have increased significantly as have speed limits for trucks; the combination of these two changes means that crash severity has increased. Unfortunately, this issue not only impacts survivors and families of truck crash victims, it affects all taxpayers. Insurance is supposed to address the actual damages caused. When there is insufficient compensation, families are forced to declare bankruptcy or rely on government programs after being financially drained. The costs of healthcare, property, and lost income for all parties involved in a truck crash can greatly exceed $750,000 per event, and all of these costs are much higher today than they were in 1980. The unpaid costs are then passed on to taxpayers. In other words, maintaining the grossly inadequate minimum privatizes profits while socializing the costs of underinsured trucking. We urge this Subcommittee to require the FMCSA to reinstate its Advanced Notice of Proposed Rulemaking (ANPRM) to increase the minimum financial responsibility requirements for motor carriers. As an alternative, members of the Subcommittee can direct the Secretary of Transportation to take immediate action to index the level to inflation, which can be accomplished without a rulemaking. Truck driver fatigue and obstructive sleep apnea (OSA) are major, well-known problems in the industry. OSA is a scientifically proven sleep disorder that causes a brief interruption of breathing during sleep. People with OSA are at risk of becoming fatigued as their body and brain are deprived of oxygen and the restorative effects of sleep. Undiagnosed, this chronic disorder can be debilitating to a driver’s health and make him or her a danger to others on the road. It affects approximately five percent of the general population, and up to 50 percent of commercial motor vehicle drivers. In fact, truck drivers who fail adhere to treatment for OSA are five times more likely to get involved in a crash than a truck driver who is on treatment. We urge the Subcommittee to require the FMCSA to reinstate the rulemaking requiring OSA screening. Truck driving is one of the most dangerous occupations, according to the Department of Labor. Currently there is no minimum requirement for behind-the-wheel (BTW) training hours; therefore, the agency is not be able to ensure that commercial driver license (CDL) applicants have had actual time behind-the-wheel to learn safe operations of a truck. Requiring a set number of hours to ensure that a licensee is sufficiently educated in his or her profession is common for far less deadly and injurious jobs, such as barbers and real estate agents. Other transportation-related professions, like commercial pilots, are required by the Federal Aviation Administration to complete more than 250 hours of flight time – their version of “BTW” training. We urge this Subcommittee to require the FMCSA to modify the Entry-Level Driver Training rule to include a minimum BTW training requirement. Truck underride crashes can be catastrophic because the car goes under the trailer, bypassing the crumple zone and airbag deployment safety features; in severe collisions, passenger compartment intrusion occurs. A requirement for all trucks and trailers to be equipped with energy-absorbing rear and side underride guards would protect car occupants from underride crashes. We are incredibly grateful to Subcommittee Member Representative Steve Cohen (D-TN) for introducing the Stop Underrides Act (H.R. 4622) and to the other Representatives on the Subcommittee who are cosponsors. We are similarly thankful to Senators Kirsten Gillibrand (D-NY) and Marco Rubio (R-FL) for introducing the Senate version, S. 2219. This lifesaving legislation will strengthen rear underride guards, mandate side underride guards, and require proper maintenance of these guards. The Truck Safety Coalition and our volunteers call on all Members of Congress to join this bipartisan effort to reduce the unnecessary deaths and injuries that occur because of truck underride collisions. The safety benefits of rear underride guards are proven and well known. In fact, seven of the eight leading trailer manufacturers have developed rear underride guards that qualify for the Insurance Institute for Highway Safety’s (IIHS) ToughGuard rating, which greatly exceeds the proposed federal standard by preventing underride crashes at 100, 50, and 30 percent overlaps at 35 mph. The NTSB has continually issued multiple recommendations for improved rear underride guards and for side underride protection systems. 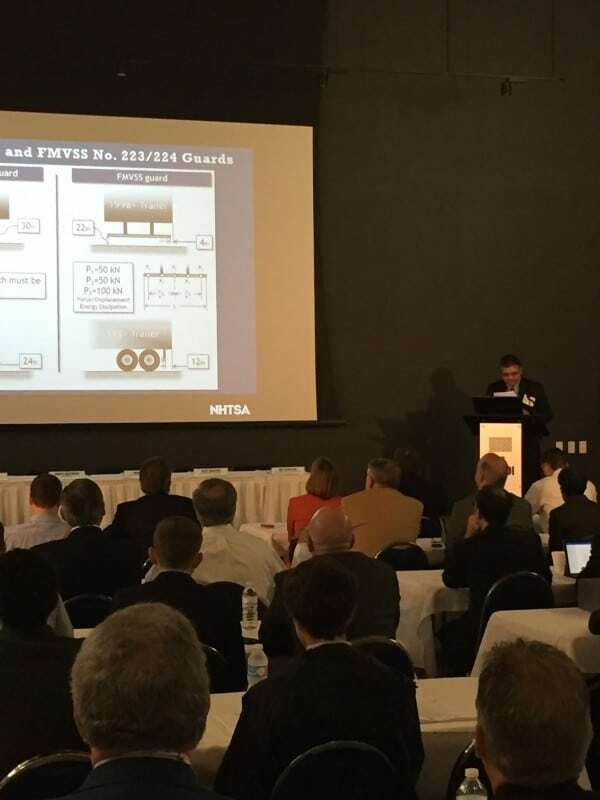 They identified the need for improved data collection, including vehicle identification numbers to better evaluate trailer design and the impact on safety. Additionally, an advisory committee on Police Accident Reports (PAR) also found that most states did not have a box on their PAR in which to indicate if underride occurred. Absent applicable and available data, policy-makers may fail to identify the true scope of truck underride collisions. NHTSA reported that large truck rear impacts comprised 22 percent of fatal two-vehicle collisions between large trucks and passenger vehicles during 2016. 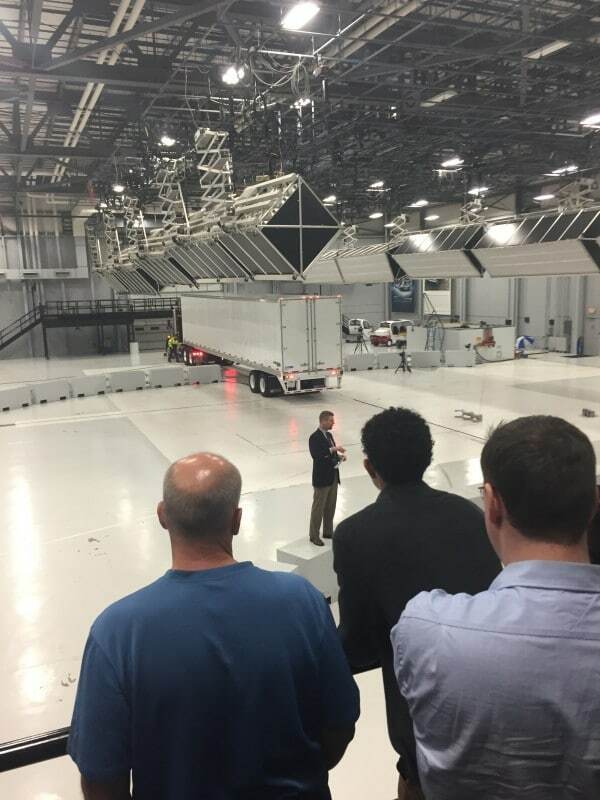 IIHS crash tests demonstrated that the rear underride guards mandated for trailers by NHTSA in 1998 performed poorly, and that there are available underride guards that far exceed the proposed force requirement by up to 70 percent. NHTSA has also reported that large truck side impacts — like the one that killed my dad — comprised 18 percent of fatal two-vehicle collisions between large trucks and passenger vehicles during 2016. One reason why collisions with the sides of tractor-trailers are hazardous is that there is a large area of the trailer where underride may occur during these collisions. In addition, bicyclists and pedestrians are particularly vulnerable to side underride interactions because of their size and the lack of protection. After ten years of pushing, I was finally able to secure a requirement that reflective tape be placed on tractor-trailers to make them more visible, especially at night. However, side underride guards that can prevent and mitigate these collisions are commercially available and should be standard equipment. Unfortunately, since granting petitions for rulemaking back in 2014, NHTSA has taken no action, aside from issuing a Notice of Proposed Rulemaking (NPRM) for rear underride guards on trailers and the ANPRM for rear guards for single unit trucks. Additionally, the agency has taken no action to evaluate side underride guards. We urge all Subcommittee members to join us in supporting the Stop Underrides Act to address these preventable tragedies. An electronic logging device (ELD) is a critical safety technological device to ensure compliance of the federal hours of service (HOS) rules. In 2018, the requirement that all trucks be equipped with ELDs took effect. Unfortunately, some special interests are arguing that ELDs are cost prohibitive. However, the reality is that they are less expensive than replacing a few truck tires. These attempts to delay, weaken, or reverse the ELD rule should be swiftly and soundly rejected. Similarly, efforts to allow exemptions for specific industries or special interests will adversely affect safety in the short-term and long-term. Updating the methodology by which HOS are recorded is long overdue. ELD technology will reduce the ability of bad actors to skirt federal regulations by modernizing the practice of logging hours. This rule will also protect truck drivers from being coerced to exceed the hours they are allowed to operate because ELDs automatically record driving time, and therefore truck drivers cannot circumvent compliance by simply writing down false hours. It is important to note that this regulation makes no changes to the existing HOS rules. Additionally, the ELD mandate will enhance law enforcement officers’ capacity to enforce HOS and expedite the process of reviewing a truck driver’s logbook. This potential benefit of the ELD rulemaking would be blunted, however, if the agency allows exemptions as it would create confusion for law enforcement officers. The shift from paperwork to electronic logging will save not only time, but also it will produce a benefit or more than $1 billion, according to the FMCSA. After working for more than two decades to produce a final rule that requires large trucks to be equipped with ELDs, the Truck Safety Coalition opposes any further delay or exemptions to the mandate. There has been ample time for members of the industry to transition from paper logbooks to electronic logging devices. Furthermore, the ELD final rule will save an estimated 26 lives and prevent 562 injuries resulting from large truck crashes each year. We cannot fathom why anyone would direct an agency, whose mission is to promote safety, to consider a five-year delay that would ultimately result in an estimated 130 fatalities and 2,810 injuries. The Commercial Driver’s License Drug and Alcohol Clearinghouse rule will greatly enhance safety on our roads as employers will be able to access information regarding the testing history of CMV drivers applying for jobs and identify drivers who have previously failed alcohol and drug tests. CMV drivers who have violated drug and alcohol testing are currently a major risk to everyone with whom they share the road. Under the soon-to-be-replaced system of self-reporting, many employers were unable to access the necessary information to avoid hiring problem drivers. The establishment of this new drug and alcohol clearinghouse that requires employers to check current and prospective employees will be a significant step forward for safety. All too often, a history of repeated drug and alcohol violations is not discovered until a catastrophic crash occurs and a comprehensive investigation ensues. The FMCSA issued a final rule, which will take effect in 2020, and we urge all Subcommittee members to ensure this rule is fully implemented so this will no longer be the case. During a time when truck safety is in serious decline, increasing truck size and weight or limiting shipper and broker liability would be steps in the wrong direction. Increasing the length of double tractor-trailers by five feet per trailer would result in a configuration that is approximately the size of an 8-story building. These massive configurations would be more difficult to operate. For example, double 33s require an additional 22 feet to stop compared to existing twin-trailer configurations. Making it more challenging to brake in a vehicle that requires the length of a football field to stop when traveling 60 mph will not help address the 45 percent increase in truck occupant fatalities. If anything, it may cause that number to rise even more precipitously. Proponents of the Double 33 proposal have been misleading lawmakers about the costs and consequences of longer tandem trailers. As with past size and weight increases — coupled with less intermodal efficiencies and increases in freight — we would likely start to see a greater number of larger trucks on our roads. Our roads and bridges will also suffer from longer and heavier trucks because these bigger trucks will result in greater wear and tear on our already-crumbling infrastructure. Those lobbying for pilot programs, state/industry exemptions, or nationwide increases to permit heavier trucks are likewise disseminating questionable claims about how a weight increase will improve safety, reduce congestion, or diminish wear and tear on our roads and bridges. Pilot programs are a piecemeal approach that makes enforcement and compliance more difficult while compelling states with reasonable truck size and weight limits to succumb to pressure for higher weights and longer trucks. The addition of an extra axle will do nothing to mitigate the damage to bridges resulting from the operation of heavier trucks. Moreover, in the event a heavier truck is involved in a crash, the crash severity could be much greater and inflict more damage to the infrastructure. Members should reject all legislative attempts “to enhance interstate commerce by creating a national hiring standard for motor carriers, and for other purposes.” Despite sounding pro-safety, this deceptive and dangerous policy will neither “enhance interstate commerce,” nor truly “[create] a national hiring standard.” In actuality, this policy is a Trojan horse: it disguises the indemnification of shippers and brokers as the creation of a national safety standard. Yet, these “standards” offered contain no safety performance data and unfairly restrict other parties who may have been adversely impacted in a truck crash. The entire supply chain must be accountable to accomplish safety. 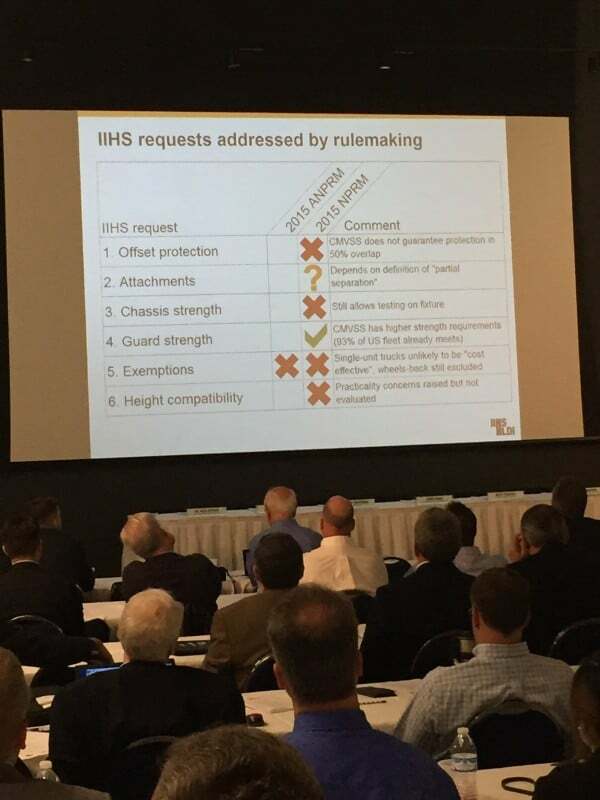 The required actions identified by this proposal set a standard for shippers and brokers at such a very low threshold that it would actually serve to reduce safety accountability. The three actions required are so easily attained that many high-risk and chameleon carriers would qualify under this set of criteria. 3. does not have an unsatisfactory rating under the current rating or any future safety fitness determination rule. Policymakers cannot accept bare minimum compliance as a standard of safety lest they intend to promote a race to the bottom. None of the criteria specified above reflect on the current safety performance of a carrier. Consequently, this will lead to low-cost, unsafe carriers being selected, exposing the public to physical and financial risk. It is in everyone’s best interest for the safest companies to earn the business. A carrier or driver that has been given a satisfactory rating at one point in time or has not yet been prohibited from operating cannot be assumed to be currently upholding safe operating practices, especially considering that many ratings are more than 10 years old. Based on the amendment’s language, however, a shipper or broker could ignore a carrier’s recent performance based data during the selection process so long as that carrier does not have an unsatisfactory rating. It has become clear that the U.S. Department of Transportation, and even some Members of this Congress have no intention of producing meaningful mandates that will “solve current problems,” and every intention of removing regulations for the sake of removing regulations. As it pertains to the Executive branch, the DOT has not offered a single solution to address the rising number of truck crashes or the fact that driving a truck is constantly one of the deadliest jobs in America. At the same time, this Administration has already withdrawn two rulemakings and delayed four rulemakings – all of which could have improved truck safety. Concerning Congress, actions thus far belie any sense of urgency to improve truck safety. Bills to allow teenage truck drivers, who have been proven less safe than more experienced drivers, to operate across state lines are this body’s “best” response to a perceived driver shortage rather than reforming entry-level driver training or moving away from a pay-per-mile structure. Anecdotes about the effects of ELDs have been given the same stock as data collected by large carriers over several years. Technologies that have been proven through extensive use to improve operational safety of a truck are continually delayed in the rulemaking process, while lawmakers invite lobbyists to pen themselves provisions permitting bigger, more difficult to operate trucks into must-pass spending bills. Moving forward, I am hopeful members of the Subcommittee will prioritize safety and remember that the death and injury figures are not merely statistics but people, like my daddy, who were needlessly killed or hurt in a truck crash. Thank you for the opportunity to testify before you today and I am pleased to answer your questions. We commend Senator Gillibrand, Senator Rubio, and Representative Cohen and Representative DeSaulnier for sponsoring the Stop Underrides Act. This lifesaving legislation will strengthen rear underride guards, mandate side underride guards, and require proper maintenance of these guards. The Truck Safety Coalition and our volunteers call on all Members of Congress to join this bipartisan effort to reduce the unnecessary deaths and injuries that occur because of truck underride collisions. In 2016, there were 4,317 truck crash fatalities in the United States, an increase of 28 percent since 2009. Unfortunately, this deeply troubling safety trend is in line with trends for truck crashes and truck crash injuries, which rose 45 percent and 57 percent, respectively, between 2009 and 2015. This does not need to be the case. There are existing, data-driven solutions that can be implemented today to prevent truck crashes and save lives, like mandating comprehensive underride protections on all trucks. Today is certainly a step in the right direction, but there is still a long road to zero truck crash fatalities and injuries. Until we achieve that ultimate goal, we will continue to work with families of victims and survivors of large truck crashes as well as policy-makers to improve truck safety on our roads. As you prepare for tomorrow’s hearing, “Highway to Headache: Federal Regulations on the Small Trucking Industry,” our public health, safety and law enforcement organizations, trucking companies, truck drivers, families of loved ones killed in truck crashes and truck crash survivors write to express our staunch opposition to any attempts to delay, create special interest exemptions from, or impede full implementation of the long overdue electronic logging device (ELD) rule. The rule requires most commercial motor vehicles (CMVs), namely large trucks and buses in interstate commerce, to install an ELD to track driver on-duty time by December 18, 2017. The regulation was required in bipartisan legislation, the Moving Ahead for Progress in the 21st Century Act (MAP-21, P.L. 112-141), enacted in 2012. Subsequently, the regulation was issued by the Federal Motor Carrier Safety Administration (FMCSA) in 2015. Truck driver fatigue has been a well-documented safety problem in the industry for decades. The National Transportation Safety Board (NTSB) has repeatedly cited fatigue as a major contributor to truck crashes and included reducing fatigue-related crashes in its 2017/2018 “Most Wanted List” of safety changes. ELDs are a proven and cost-effective technology that will save lives and reduce injuries, and according to the U.S. Department of Transportation will result in over $1 billion in annualized net benefits. Additionally, ELDs provide an objective record of a CMV driver’s on-duty time, will increase compliance with hours of service (HOS) rules, and will simplify and streamline the efforts of law enforcement. There already is widespread use of ELD technology in the United States and other countries. Nearly a third of trucks currently in service are equipped with electronic logging technology. Similar technology has been used in Europe for decades and is required in the European Union, Japan, and many other countries. Members of the trucking industry have known about this rule for years and have had ample time to prepare for it. Moreover, the legal challenge to the final rule was unanimously rejected by the U.S. Court of Appeals for the Seventh Circuit in 2016. The three judge panel denied each and every claim brought by the parties that sought to vacate the rule. In addition, the request to the U.S. Supreme Court to review the Seventh Circuit’s ruling was denied. which complete data is available, an estimated 116,000 people were injured in crashes involving large trucks. We urge the Committee to oppose any weakening of this overdue, commonsense truck safety regulation. Delaying, deferring or carving out exemptions to the ELD requirement will only contribute to more fatigued commercial drivers sharing the road with families and jeopardizing everyone’s safety. The National Highway Traffic Safety Administration’s (NHTSA) release of the 2016 Motor Vehicle Crashes: Overview revealed that in 2016, there were 4,317 fatalities in crashes involving large trucks – a 5.5 percent increase from 2015 and a 28 percent increase since 2009. Unfortunately, this increase in deaths is not surprising given the troubling safety trends that the Truck Safety Coalition (TSC) has been highlighting since 2009. 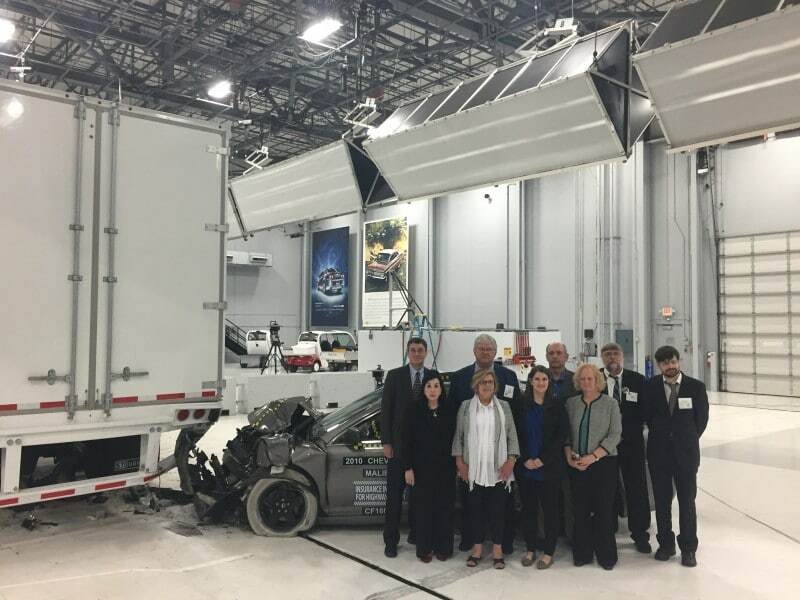 Since 2009, TSC has been informing Congress of the worsening trends in truck safety as well as of the various commonsense solutions that they could implement to prevent truck crashes and reduce the resulting injuries and fatalities. Unfortunately, legislators lack a sense of urgency and regulators continue to delay data-driven technologies, like automatic emergency braking and heavy vehicle speed limiters. Those technologies have been implemented, with great results, throughout the world, but continue to stall here in the United States. Unfortunately, the Department of Transportation has delayed or completely withdrawn other critical safety rules that would protect the public as well as the occupants of trucks. A rule requiring truck drivers to be screened for sleep apnea was scrapped. A rule requiring the minimum insurance for large trucks per incident be increased was withdrawn, even though it has not been raised once since the 1980s. And two rules requiring improvements to underride protections on trucks and trailers were delayed by at least a year. Instead of passing bills stuffed with exemptions, delays, and regulatory rollbacks to appease special interests, like a weight exemption for North Dakota and a non-divisible exemption for milk, Congress must act now to stop preventable truck crash deaths and injuries on our nation’s highways. They can start by asking Secretary Chao why truck safety is trending in the wrong direction and how the actions the DOT has taken since January will reverse those trends. Rolling back regulations that would ensure truck drivers are awake and alert, motor carriers are adequately insured, and trucks are crash compatible with cars to prevent underride, will do nothing to reduce the number truck crashes, prevent injuries, or save lives. The only thing DOT’s actions accomplish is protecting the bottom lines of some special interests and placating a small, loud group of unsafe truck drivers that see all regulation as bad. If lawmakers and policymakers are serious about reducing the number deaths and injuries resulting from large truck crashes, they seriously need to readjust their strategy. This increase would not be tolerated if the mode of transportation were different. People would not fly if 83 people died on flights each week or if the number of fatalities went up by 28 percent since 2009. 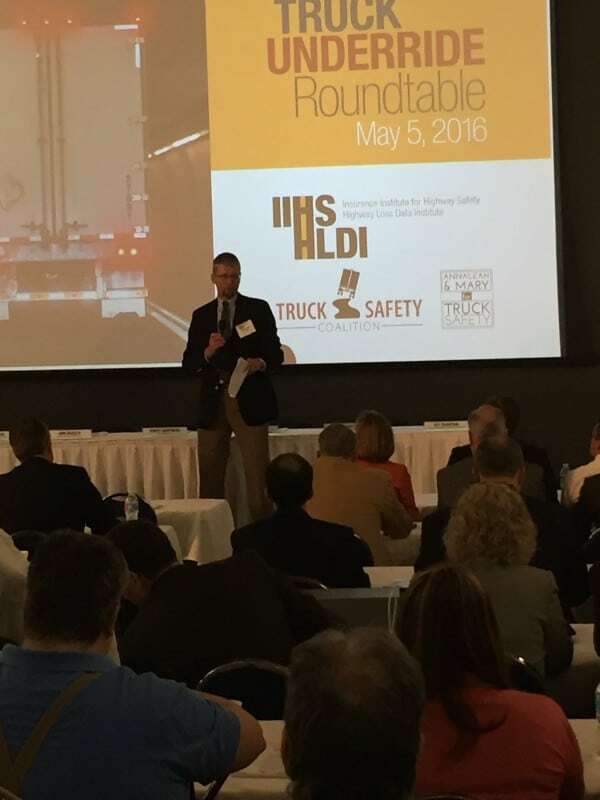 The Truck Safety Coalition co-hosted the first ever Underride Roundtable at the Insurance Institute for Highway Safetys testing facility in Ruckersville, VA. 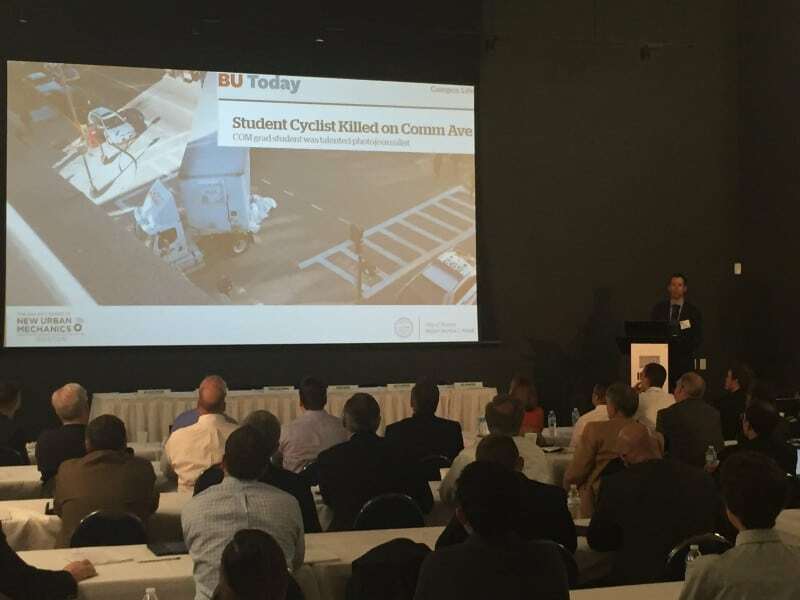 The conference brought together researchers, safety advocates, government officials, and industry leaders to discuss truck underride crashes, examine the scope of the problem, and determine how to reduce the risks for passenger vehicle occupants through regulation and voluntary action. 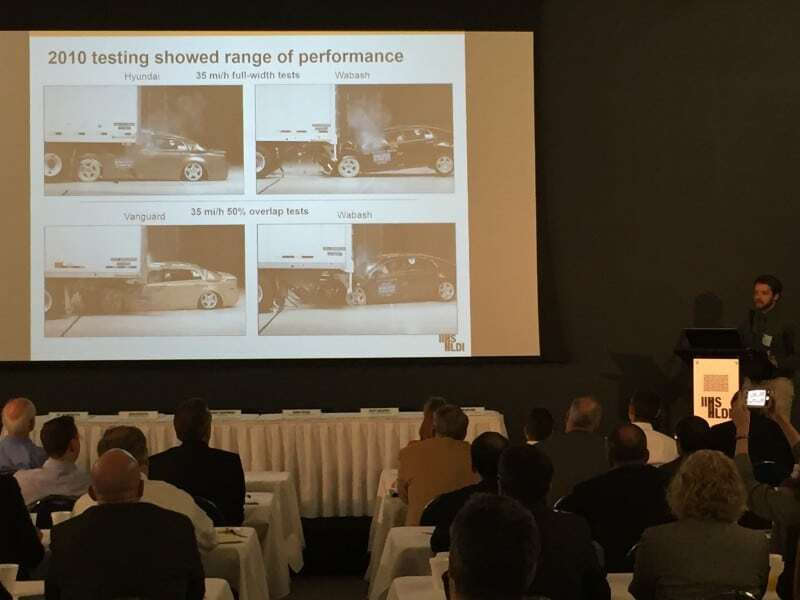 A crash test was also conducted to demonstrate improved underride guards. At the conference, Jennifer Tierney, a board member of Citizens for Reliable and Safe Highways (CRASH), presented the Distinguished Safety Leadership Award to Greer Woodruff, Senior Vice President of Safety, Security, and Driver Personnel of J.B. Hunt Transport Services, Inc. for his outstanding and longtime dedication to improving truck safety. NHTSA has reported that large truck side impacts comprised 17 percent of fatal two-vehicle collisions between large trucks and passenger vehicles during 2015. One reason why collisions with the sides of tractor-trailers are hazardous is that there is a large area of the trailer where underride may occur during these collisions. In addition, bicyclists and pedestrians are particularly vulnerable to side underride interactions because of their size and the lack of protection. As the length of a truck increases, so does the size of the blind spot area. These interactions can occur when a truck is turning or making an illegal U-turn, and the cab or trailer obstructs the driver’s view. The Truck Safety Coalition’s Underride Initiative, consisting of families of truck underride crash victims and survivors, is extremely pleased with the results of a recent crash test conducted by the Insurance Institute for Highway Safety (IIHS) that assessed a side underride guard for the first time ever. The IIHS conducted two tests of a midsize car traveling at 35 mph colliding with the center of a 53-foot-long dry van at a 90-degree angle – the most difficult type of side underride collision to prevent. In one scenario, the trailer was equipped with a fiberglass side skirt intended (only) to improve aerodynamics, which did nothing to prevent the car from riding underneath the trailer. The car was decimated, the roof sheared, and any passengers would have been killed. In the other scenario, the trailer was equipped with an AngelWing Side Underride protection device –manufactured by Airflow Deflector Inc. Instead of riding under the trailer and allowing for passenger compartment intrusion, this innovative side underride guard allowed the car’s airbags to deploy and its crumple zone to help diffuse the kinetic energy transferred upon impact. These safety features have been rendered ineffective in the past due to the lack of crash compatibility between cars and the sides of trailers. The federal government should require all trucks and trailers to be equipped with energy-absorbing rear, side, and front underride guards to protect car occupants from underride crashes. These crashes can be catastrophic because the car rides under the trailer, bypassing the crumple zone and airbag deployment sensors; in severe collisions, passenger compartment intrusion occurs. The safety benefits of underride guards are proven and well known. In fact, five of the eight leading trailer manufacturers have developed rear underride guards that qualify for the Insurance Institute for Highway Safety’s (IIHS) ToughGuard rating, which greatly exceeds the proposed federal standard by preventing underride crashes at 100, 50, and 30 percent overlaps at 35 mph. For several years, the National Transportation Safety Board (NTSB) has issued multiple recommendations for improved rear underride guards, for side underride protection systems, and front underride guards. 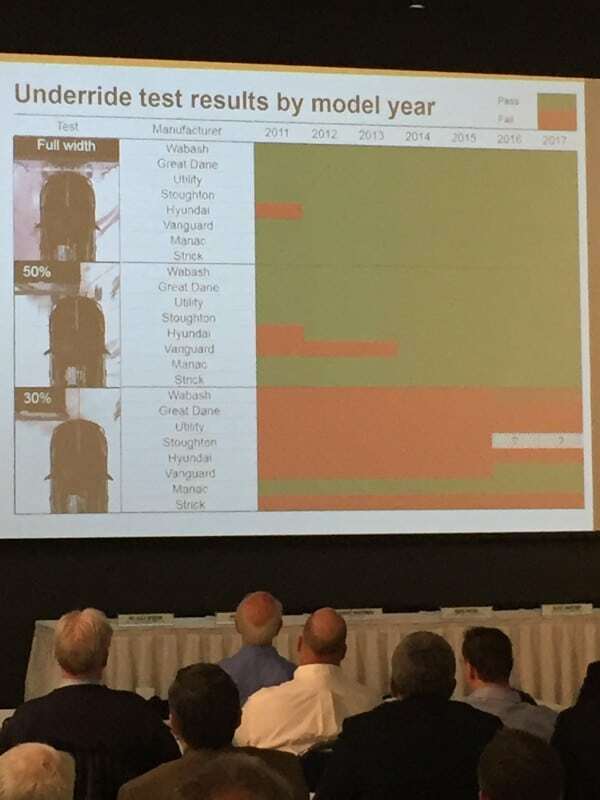 In addition, NTSB identified the need for improved data collection, including vehicle identification numbers to better evaluate trailer design and the impact on safety. On July 10, 2014, the National Highway Traffic Safety Administration (NHTSA) announced it would grant the petition brought by Truck Safety Coalition (TSC) and the Karth family to issue a Notice of Proposed Rulemaking (NPRM) for rear underride guards on trailers. 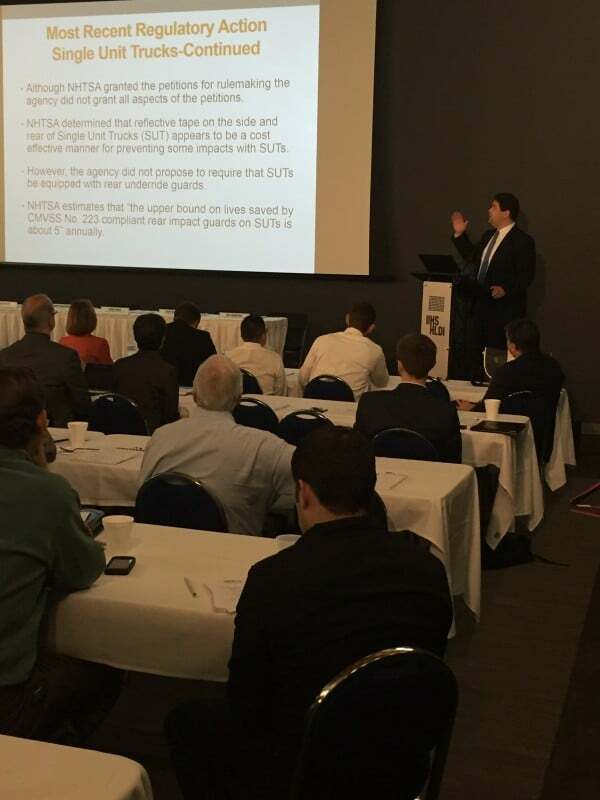 Additionally, NHTSA has started an Advanced Notice of Proposed Rulemaking (ANPRM) for rear guards for single unit trucks, and will continue to evaluate side and front guards. NHTSA reported that large truck rear impacts comprised 22 percent of fatal two-vehicle collisions between large trucks and passenger vehicles during 2015. 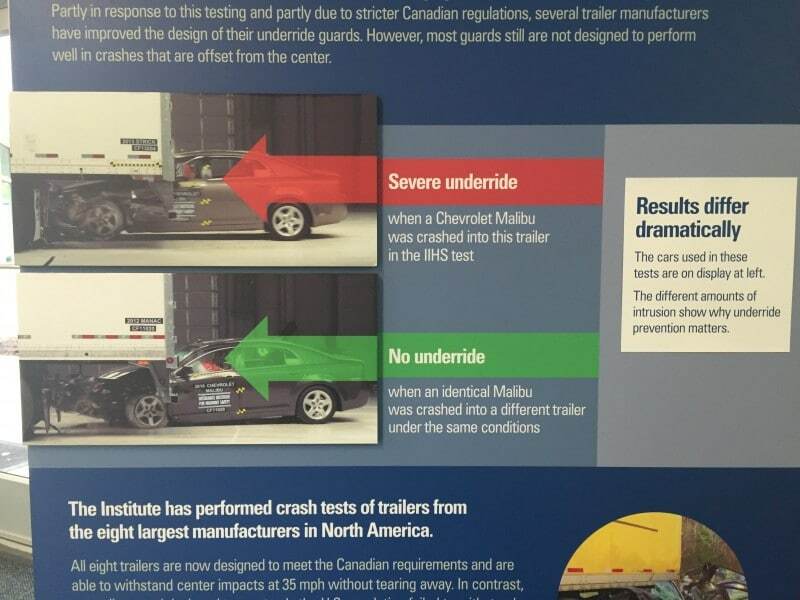 IIHS crash tests demonstrated that the rear underride guards mandated for trailers by NHTSA in 1998 performed poorly, and that there are available underride guards that far exceed the proposed force requirement by up to 70 percent. 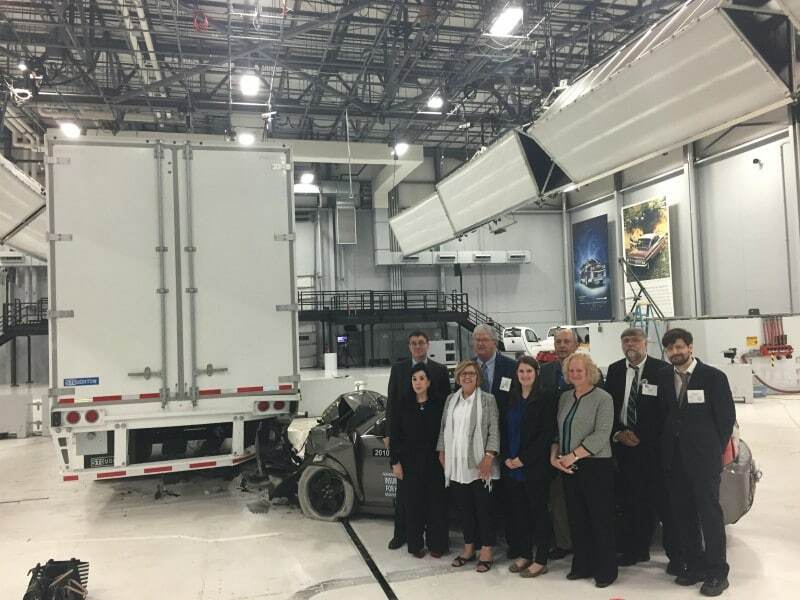 ARLINGTON, VA (May 10, 2017) – The Truck Safety Coalition’s Underride Initiative, consisting of families of truck underride crash victims and survivors, is extremely pleased with the results of a recent crash test conducted by the Insurance Institute for Highway Safety (IIHS) that assessed a side underride guard for the first time ever. The IIHS conducted two tests of a midsize car traveling at 35 mph colliding with the center of a 53-foot-long dry van at a 90-degree angle – the most difficult type of side underride collision to prevent. In one scenario, the trailer was equipped with a fiberglass side skirt intended (only) to improve aerodynamics, which did nothing to prevent the car from riding underneath the trailer. The car was decimated, the roof sheared, and any passengers would have been killed. With more than 2,000 passenger vehicle occupants killed in two-vehicle crashes in which the passenger vehicle strikes side of the tractor-trailer between 2009 and 2015, there is a clear need to address this fatal problem. 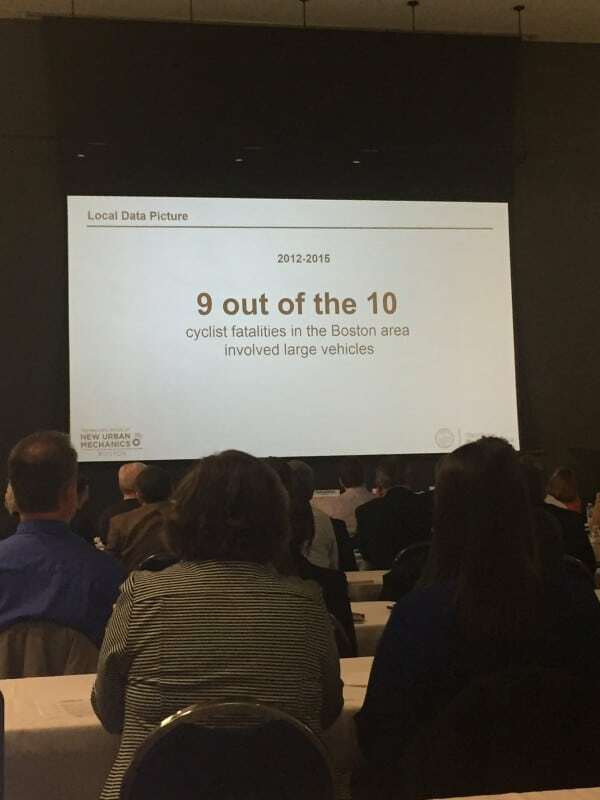 It should also be noted that the aforementioned fatality figure greatly underestimates the true extent of people killed in side underride crashes as it does not include crashes involving bicyclists and pedestrians, multi-vehicle crashes, and any crash that happened in a jurisdiction that does not record whether underride occurred. At a time when truck crash injuries and deaths continue to climb, up 57 percent and 20 percent respectively between 2009 and 2015, the industry and regulators should share our sense of urgency to reverse these trends. We need more innovation, action, and collaboration. 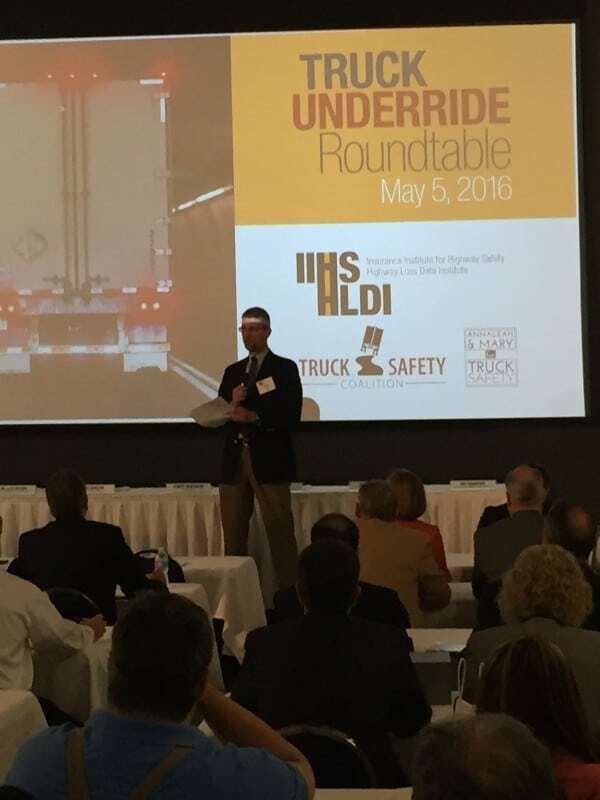 When we do work together, like at the first ever Truck Underride Roundtable, we can make real advances in truck safety. 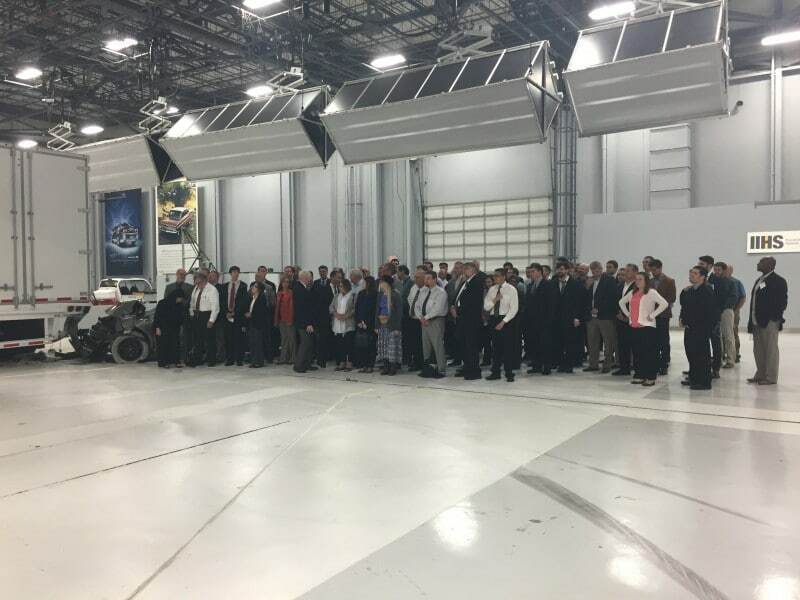 In fact, that meeting of industry leaders, government officials, and safety advocates helped lead to the creation of this side underride guard that successfully prevented a side underride crash at 35 mph. This side underride guard would have made a big difference in many of our lives, and we are proud that our advocacy will help prevent others from sustaining a major injury or losing a loved one in a side underride crash. We call on our Members of Congress and federal regulators to ensure that this technology is fully adopted by the trucking industry by requiring all trailers to be equipped with side underride guards. ARLINGTON, VA (March 1, 2017) – The Insurance Institute for Highway Safety (IIHS) announced today that five out of eight major North American semitrailer manufacturers met their TOUGHGUARD standard. Great Dane, Manac Inc., Stoughton Trailers LLC, Vanguard National Trailer Corp., and Wabash National Corp, received this recognition of their rear trailer guards that prevent underride crashes involving a mid-size car traveling at 35mph into the rear of the trailer in three different scenarios – 100, 50, and 30 percent overlap. Underride crashes have long been identified as a safety issue, but little has been done to prevent or mitigate the severity of these of truck crashes, which can nullify a car’s protections and result in passenger compartment intrusion. 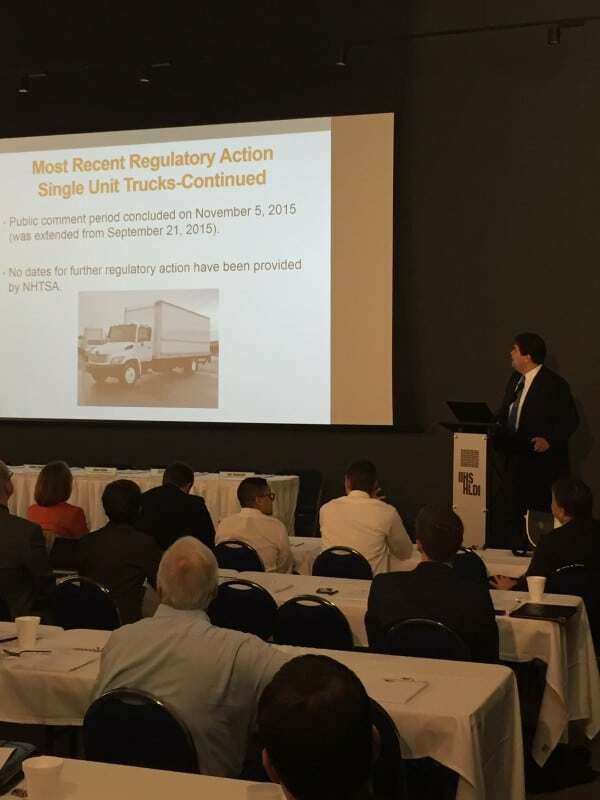 The Truck Safety Coalition has been a leading voice in advocating for stronger rear underride guards. Unfortunately, both Congress and National Highway Traffic Safety Administration (NHTSA) have missed opportunities to make a real improvement in this area. The United States government is so far behind on regulating the issue of underride guards, that NHTSA, has proposed a rule to replace the antiquated U.S. standard with an outdated Canadian standard. The semitrailers manufactured by the recipients of the TOUGHGUARD qualification greatly exceed the Canadian force requirements. 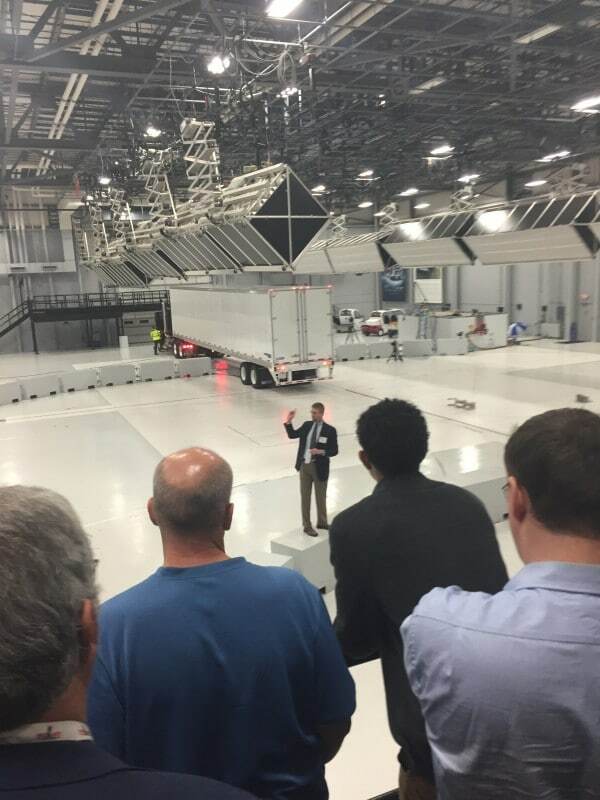 The Truck Safety Coalition salutes IIHS and the abovementioned companies for this major step forward in underride protection. These rear guards will reduce the number of fatalities and injuries resulting from rear underride crashes. We call on Hyundai Translead, Strick Trailers LLC, and Utility Manufacturing Co. – the major North American semitrailer manufacturers whose trailers failed the 30 percent overlap test – to upgrade their rear underride guards to meet the IIHS TOUGHGUARD standard. For more than 30 years, I have been advocating to make trucking safer, since my father, James Mooney, was killed in a large truck crash in 1983. He was driving on a dark rural road at a time when truck conspicuity was hardly a consideration, and his car rode under the truck trailer that was blocking the roadway. While my advocacy helped lead to a requirement for reflective tape on truck trailers, there are still too many preventable truck crashes. When I read that a tanker truck hauling non-dairy creamer overturned on I-40 in Forsyth County earlier this month, I was thankful that no one was hurt. Then I found out that the truck driver admitted to falling asleep at the wheel before overturning. I was outraged. The number of truck crashes is continuing to rise, increasing 45 percent since 2009. Yet for the past three years, Congress has passed legislation permitting truck drivers to work more than 80 hours per week, amongst other corporate handouts that will not reduce the amount of truck crashes. Requiring automatic emergency braking on trucks and mandating side underride guards on trailers are commonsense solutions that will reduce the number of truck crashes, injuries and fatalities. None of these changes, however, were included in the FAST Act or in the accompanying appropriations bill. Congress should pass legislation requiring all trucks to be equipped with automatic emergency braking (AEB). This technology will be standard on all new cars in the United States by 2022, and a requirement for it was passed in the European Union in 2012. AEB works by applying the brakes in the event that the truck driver fails to apply the brakes, like if a driver falls asleep behind the wheel. Data from the National Highway Traffic Safety Administration (NHTSA) shows that forward collision avoidance and mitigation and lane departure warning systems can address 1 out of 4 heavy vehicle involved crashes. Moreover, crash records from motor carriers were examined after some of their fleet was equipped with forward collision avoidance and mitigation systems, and the results were consistent. Trucks without this technology were more than twice as likely to be the striking vehicle in a rear-end crash than trucks with the system. Unfortunately, Congress has done little to require this technology, while prioritizing efforts to increase the length of double tractor-trailers, which will take even longer to stop than existing double configurations. When Rep. Hank Johnson of Georgia offered a bill mandating automatic emergency braking, it died in subcommittee; he subsequently offered it as an amendment to a larger bill to no avail. Some opponents of this technology claimed it might not be effective in reducing crashes, despite ample evidence that it does, while others claimed that AEB would hurt small business because of the costs of technology. Yet when certain large trucking companies wanted “Double 33” trailers, the language was inserted into a must-pass bill. The opponents who decried the cost of AEB said nothing of the fact that increasing the size of double tractor-trailers would force many smaller companies to upgrade their fleets to remain competitive with larger trucking companies. As with past size and weight increases, there are two things we can anticipate: 1) it will not result in fewer trucks, and 2) shippers will hire companies with the maximum shipping capabilities. This means that small companies will be forced to buy new 33-foot trailers to replace their existing single 53-foot trailers or double 28-foot trailers. New trailers cost thousands of dollars. It is also frustrating that there are lawmakers who are ready to increase the length of double trailers by five feet per trailer, even though existing trailers have a long recognized safety issue — a lack of side underride guards. While the European Union has required these life-saving protections on trailers for decades, the United States does not and shows no signs of doing so anytime soon. 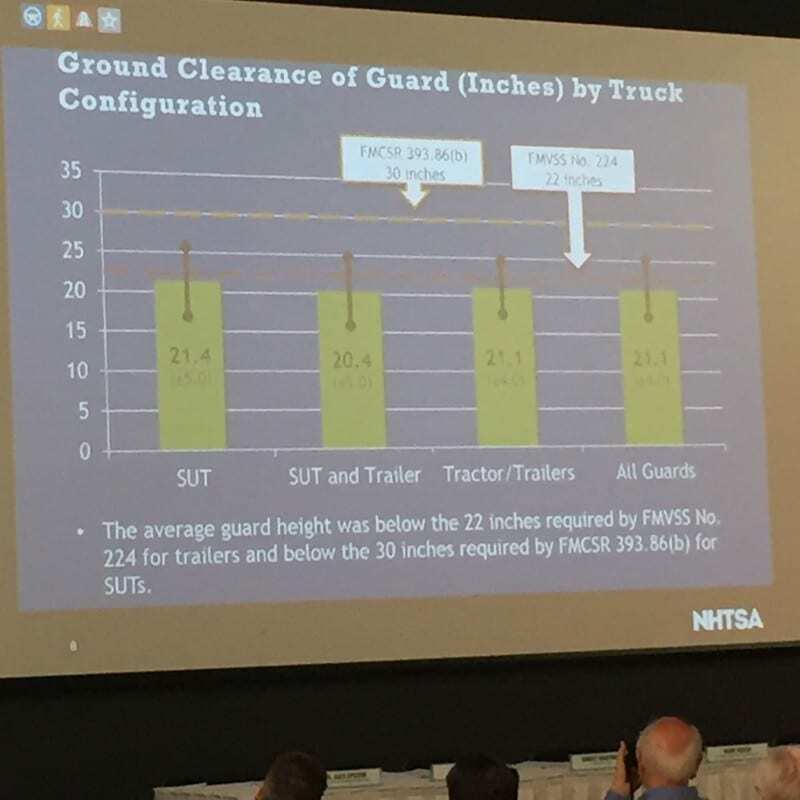 So, increasing double tractor-trailers from 28-feet per trailer to 33-feet per trailer not only results in an additional 22 feet of braking distance and a 6-foot wider turning radius but also 10 more feet of exposed area underneath the trailer. Improving underride protections would save lives and prevent injuries resulting from truck crashes. Without these protections, bicyclists and pedestrians are at risk of traveling under trailers. 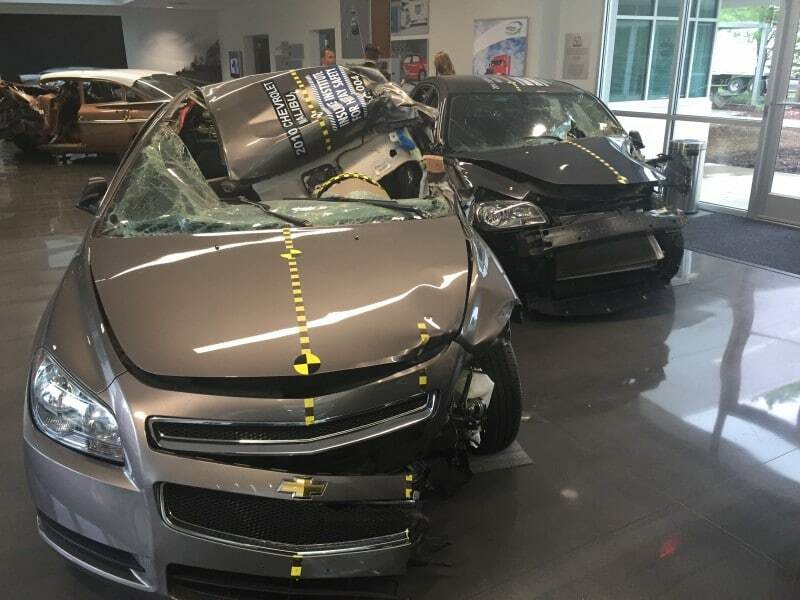 Motorists, like my father who was killed in an underride crash, are also at risk of death or injury as underride collisions bypass crumple zones, prevent airbag deployment, and cause passenger compartment intrusion. I am hopeful that members of Congress will recognize that despite all of their differences, they all represent a state or a district that has constituents who have been adversely affected by truck crashes. They need to be more interested in public safety rather than private interests. Passing a bill requiring automatic emergency braking on trucks and side underride guards on trailers will do just that. Requiring longer trucks that will only benefit a handful of large motor carriers, and will be more difficult for truck drivers to operate, will not. I was devastated to hear about the recent truck crash in which a 5-year-old boy and his volunteer driver were killed on the Maine Turnpike. As a mother who lost her son in a truck crash, I know the pain and grief the families are going through; my thoughts are with them and will be as they learn to cope with such devastating losses. As an advocate for truck safety, however, I am angry because this crash, and the fatalities it caused, could have been avoided by requiring two common-sense improvements on large trucks: stronger rear underride guards and automatic emergency braking. Underride crashes have been identified as a problem dating back to the 1950s. Since that time, the government has required a woefully inadequate and antiquated standard that many times renders useless a car’s protections, like airbag deployment and a crumple zone. Consequently, there is passenger compartment intrusion, which results in truly horrific crashes, like this one. Automatic emergency braking is a much newer solution than underride guards for reducing truck crashes, but the technology is being developed and employed rapidly. In fact, all major car companies will require automatic emergency braking by 2022. There is no reason why trucks, which take much longer to stop than cars, should not be equipped with it, too. On May 13, 2016, sometime before 10:00 a.m., Phillip Loureiro, 39, was riding his motorcycle on U.S. Route 1, when the motorcycle was involved in a collision with a tractor-trailer. Mr. Loureiro was fatally injured in the crash. The truck driver was not injured. The crash is under investigation by the Linden Police Department and the Union County Prosecutor’s Office. The current federal weight limit for a large interstate truck is 80,000 pounds, but for some states, there are exemptions and permits allowing even heavier trucks to travel on our roadways. Bigger, heavier trucks are more likely to be in a crash, more likely to cause damage to our roads and bridges, and more likely to result in an injury or death. On April 4, 2016, at approximately 8:35 p.m., Lance C. Ringhaver was driving an Infinity Q705 south in the center lane on U.S. Highway 41 in Apollo Beach when it came upon a tractor-trailer, blocking the roadway. The truck driver attempted to make a left turn north of U.S. Highway 41, but failed to make a complete turn when Ringhaver crashed into the tractor trailer truck and his car was wedged underneath. Mr. Ringhaver died at the scene. The truck driver, identified as Isbel Perez Guzman was not injured, but was cited for failing to yield the right of way. Trucks with weak underride guards, or none at all, offer little to no protection for motorists, bicyclists, and pedestrians who can possibly crash into the sides or rear of a truck and trailer. Rear underride guards are required on many trucks and trailers, but the standard is antiquated and ineffective in preventing underride crashes from becoming injurious or fatal. 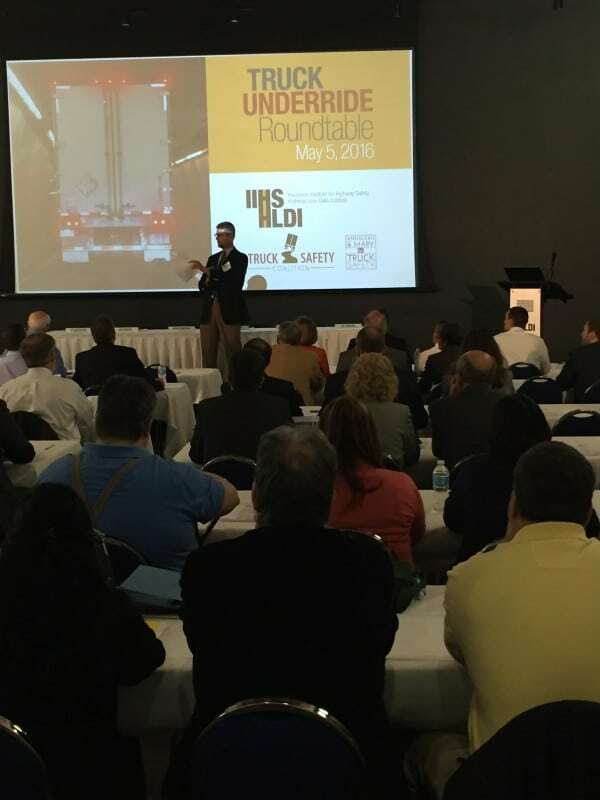 Overall, more than 4,000 people are killed in truck crashes every year in the United States and a portion of the preventable fatal crashes involve underride. On April 20, 2016, at approximately eight a.m., James Gregg, 33, was riding his bicycle on Sixth Avenue at Sterling Place when he was hit by a tractor-trailer who was driving along the side of him. Mr. Gregg collided into the rear tire of the 18-wheeler truck and fell under the wheel. James Gregg died at the scene. According to officials, the truck driver was given a summons for driving an overloaded vehicle. The crash is under investigation by the New York Police Department. 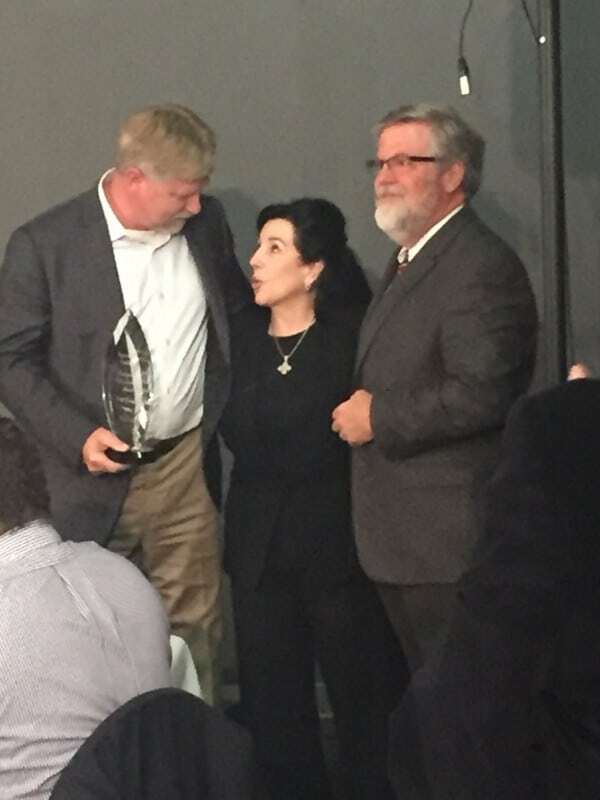 The Truck Safety Coalition has honored three trucking industry leaders for commitment and dedication to fleet safety. 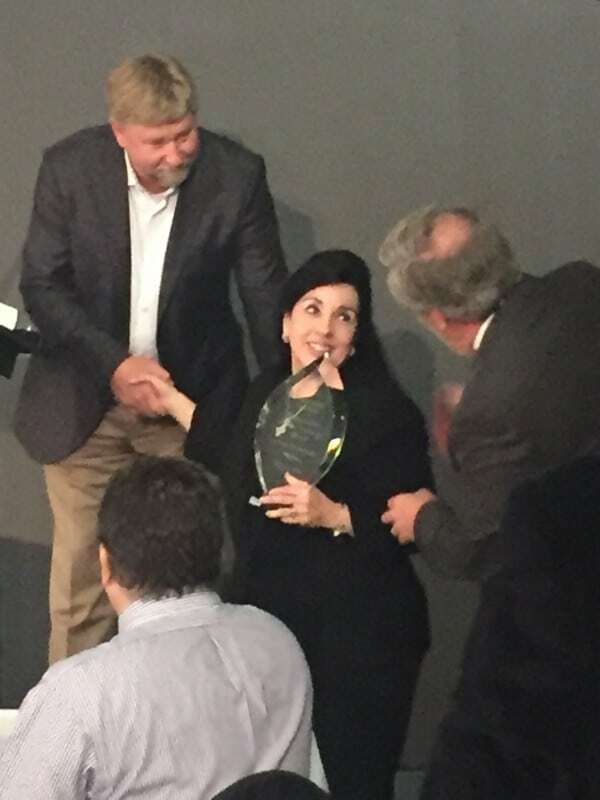 TSC, often seen as an “anti-truck” group, presented the Distinguished Safety Leadership Award to Greer Woodruff, senior vice president of safety, security and driver personnel of J.B. Hunt Transport Services. 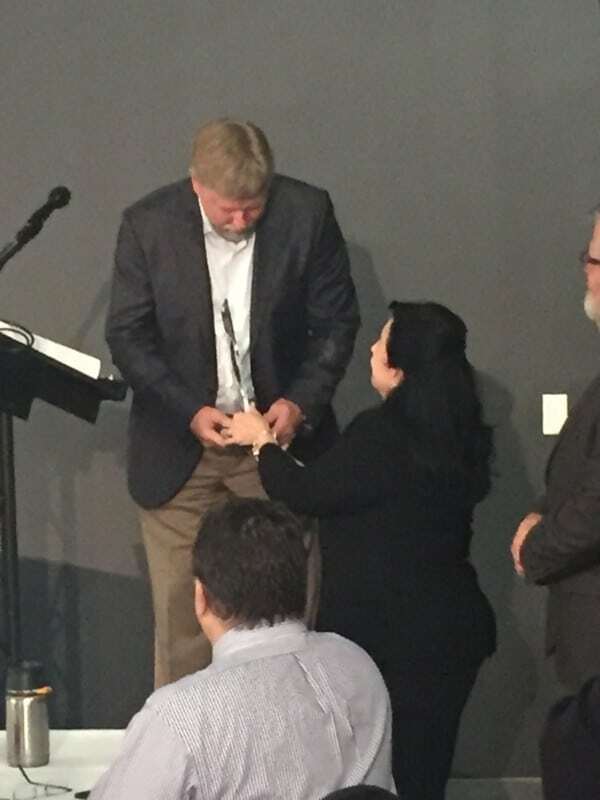 The group gave special recognition for J.B. Hunt’s purchase of 4,000 Wabash trailers with enhanced rear underride protections. The underride guards are engineered to prevent underride crashes at higher impact speeds and overlap percentages. 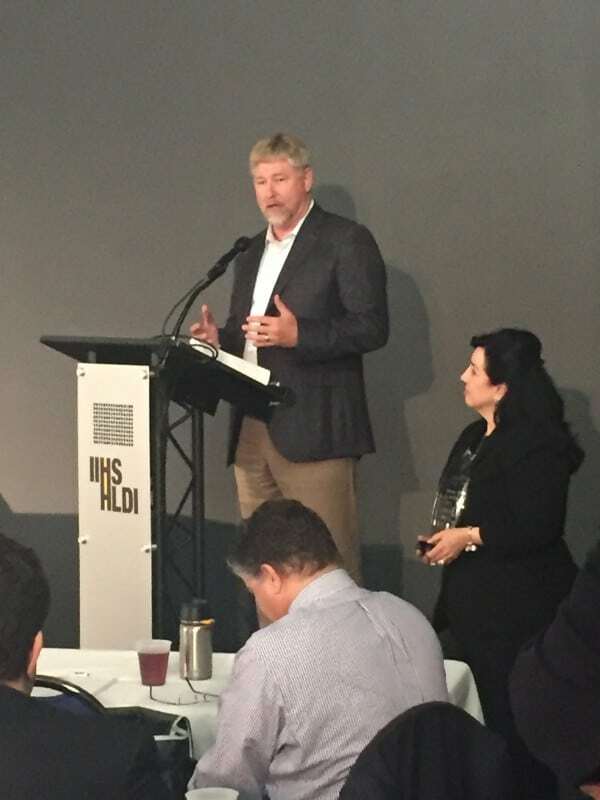 Woodruff was also recognized for using telematics to supervise driving behaviors and enhanced drug testing procedures to promote safe driving at J.B. Hunt. 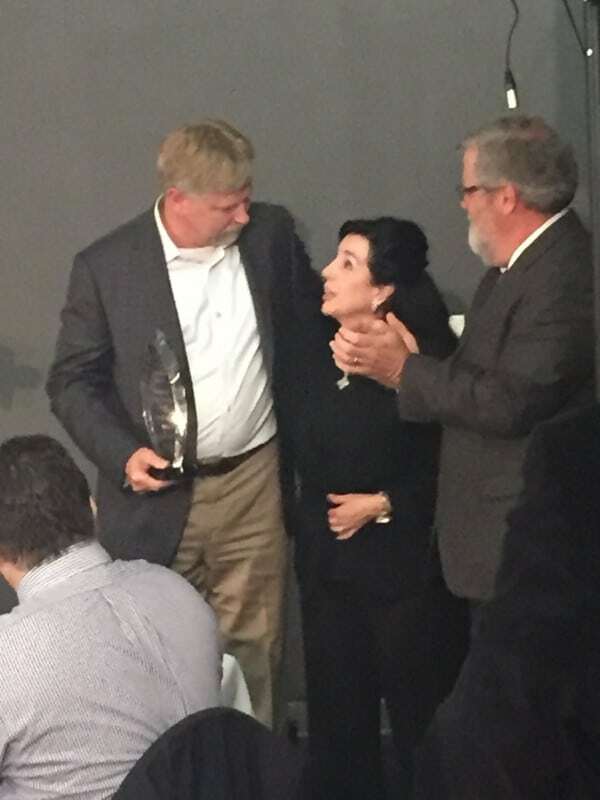 In addition to Woodruff, TSC announced that Reggie Dupre, CEO of Dupre Logistics, and Steve Williams, chairman and CEO of Maverick USA, will receive the Truck Safety Leadership Award at a later date. “We also commend Mr. Dupre for his involvement in the Trucking Alliance, which supports an increase for the minimum insurance required by motor carriers, and recently announced its opposition to efforts going on right now in the United States Senate to roll back federal hours of service rules for truck drivers,” said Jane Mathis, vice president of the Truck Safety Coalition. 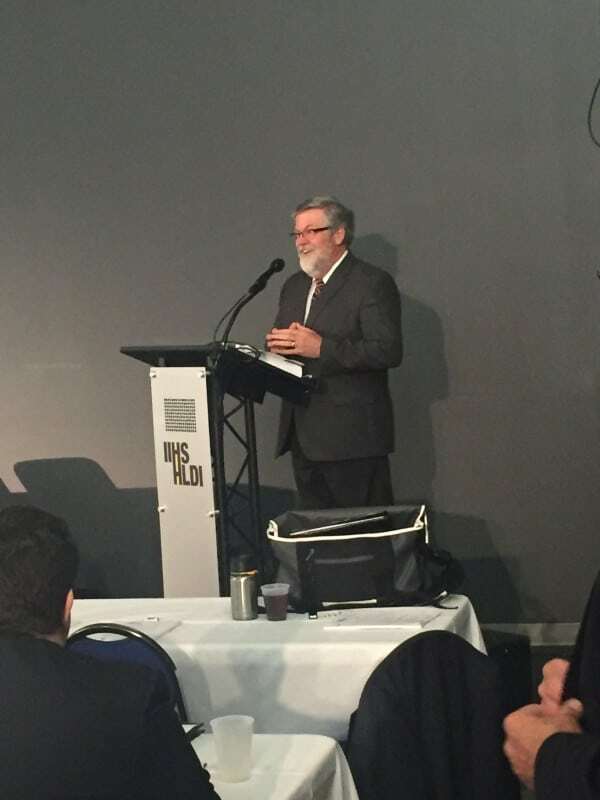 Williams is a founder of the Trucking Alliance and has advocated for electronic logging devices and opposed increases to truck size and weight. He has also implemented collision avoidance technology on fleet vehicles, including electronic stability control, collision mitigation systems, and lane departure warning systems with forward-looking cameras. The Truck Safety Coalition is made up of Citizens for Reliable and Safe Highways and Parents Against Tired Truckers. The group is dedicated to reducing the number of deaths and injuries caused by truck-related crashes and provides support to truck crash survivors and families of truck crash victims. 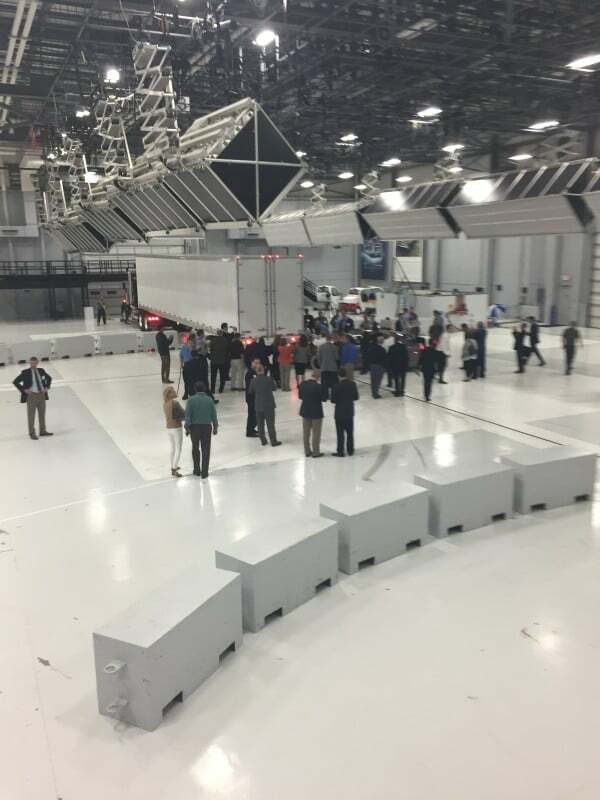 I’d never been a witness to a test crash before. I suppose not many people have. 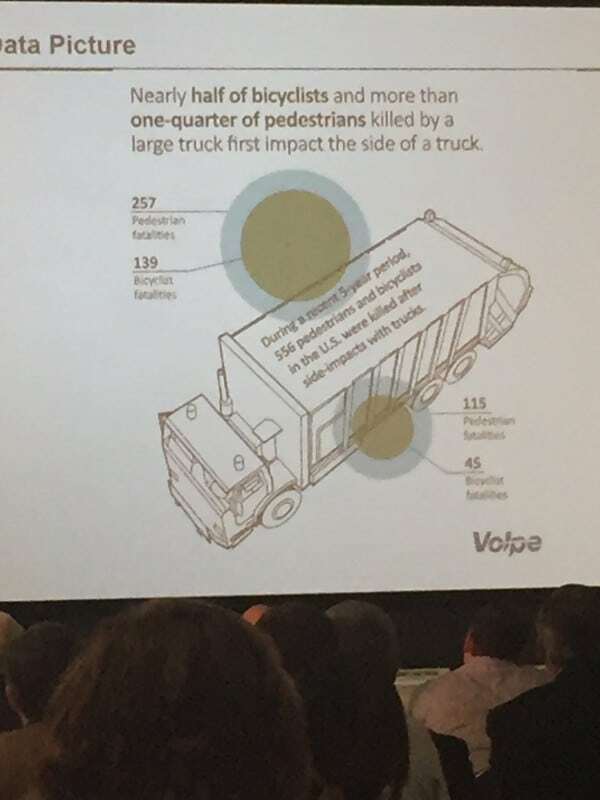 It’s kind of a surreal experience, especially for a person that’s had a loved one die in a violent crash.My husband and I, along with several other of our truck safety volunteers attended an all day conference at the Insurance Institute of Highway Safety in Charlottesville Virginia on Thursday. And it wasn’t just us in attendance. 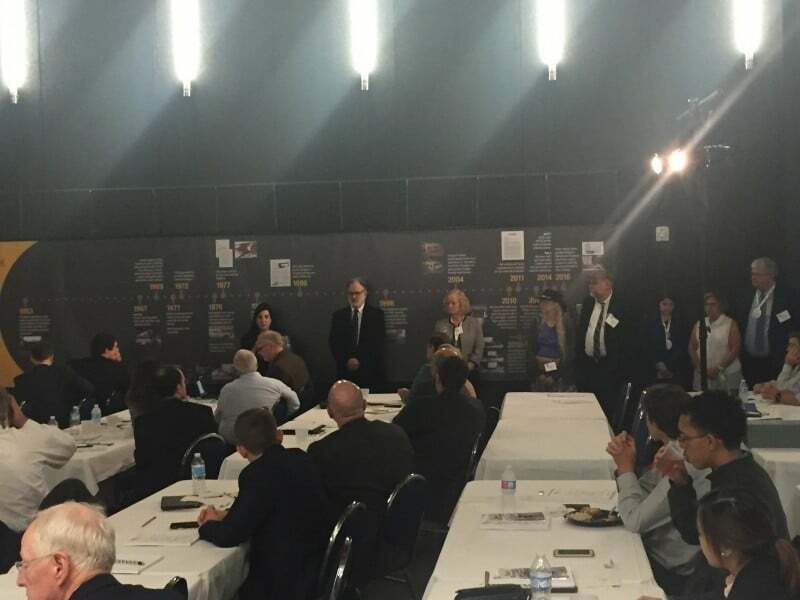 In an unprecedented move truck companies, trailer manufacturers, safety advocates, bicycle and pedestrian representatives, policy makers, and researchers were all together in one room to talk about the problem of truck underride. Most of you don’t know what truck underride is, and I wish I didn’t have to explain it to you. But because our country is a generation behind Europe you probably haven’t seen a truck sporting a side guard to keep a car from traveling under the trailer in a crash. Perhaps, if you’ve been in New York City or Boston recently, you’ve seen city trucks with side guards; those two cities have now mandated this safety precaution after several bicyclists and pedestrians were killed by falling beneath the trailers and being crushed by the wheels. Side and rear underride is a huge problem outside cities too. As you pass a semi out on the freeway, and if it’s safe, glance over and see where the underside of that trailer would hit you if you slid under. Just about the height of your head. And if you slide under your airbags won’t deploy as there would be no impact of the engine and front of your car. The first impact would be the windshield, and that won’t save you. And don’t think you’re safe if you hit a semi from behind. Many of the rear guards were built to 1953 standards and will collapse if you hit them with any speed. Once again, the only thing between your head and the back of that trailer will be the windshield. So for years safety advocates, including the Truck Safety Coalition, has been asking the Department of Transportation to require better rear guards, and to start the process to mandate side guards. It’s another one of those no-brainer things that we just can’t seem to get done through normal channels. Thursday’s conference wasn’t a normal channel. 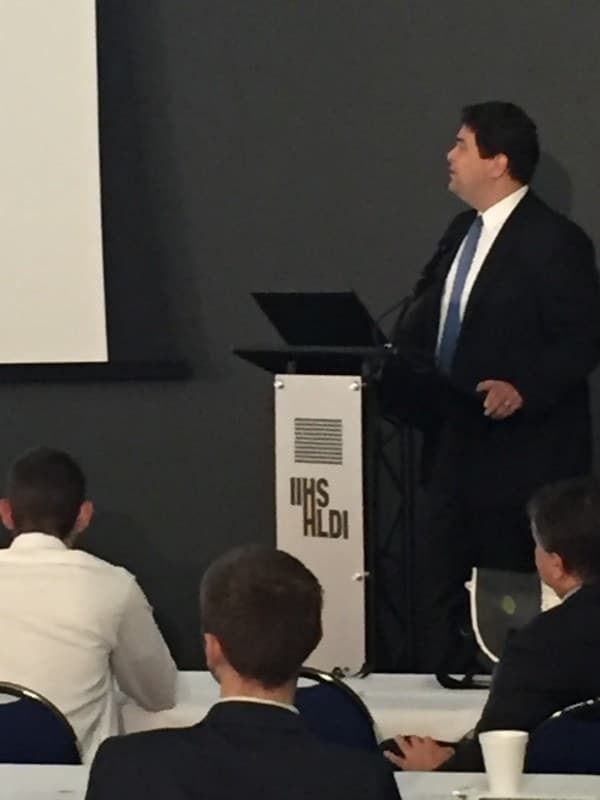 Never before has the industry met with the safety people to discuss making changes that would move ahead of any regulations that might some day come out of the D.O.T. Never before has such candid conversations been held, without animosity, without rancor, with only safety in mind. 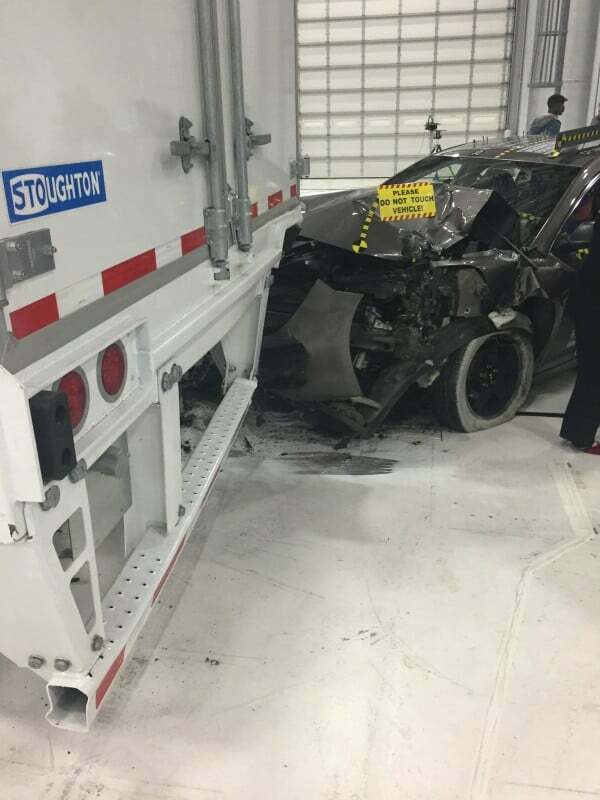 At noon we went into the lab and watched a test crash of a Malibu slamming at 35 mpr into the back of a semi trailer that had been equipped with a new, stronger rear guard. Some of us weren’t sure we wanted to witness such a thing, but we’re all glad we did. Because in this case the new rear guard held up and the passenger compartment, crash dummy inside, was not penetrated. (You can watch the crash test here.) Everyone inside this particular car would have survived. For many people the test crash was the highlight of the day. But I thought the highlight was later in the program. 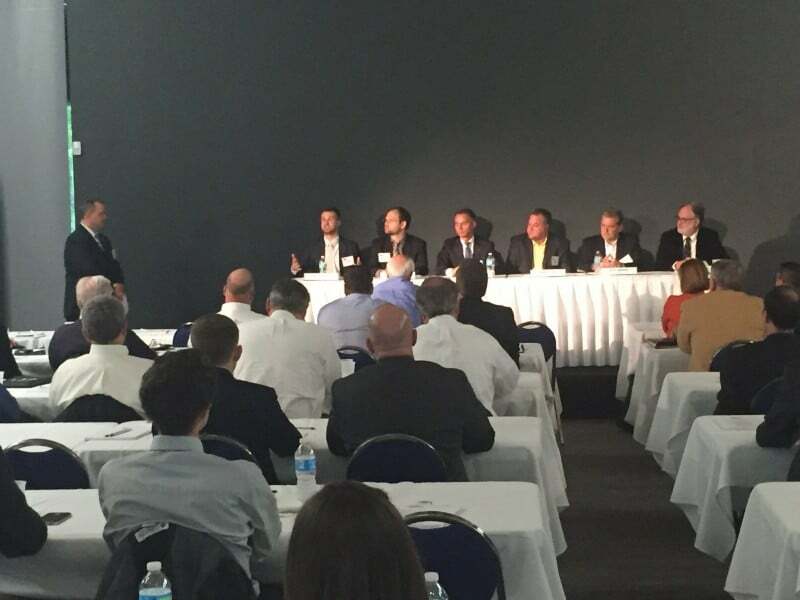 During the day we had speakers from New York City and Boston tell us about the processes they went through requiring side guards on trucks within their city limits. We had speakers from government talking about where in the regulatory process we are, speakers from trailer manufacturers talking about stronger rear guards that are ready for market now, from a truck company that has ordered 4,000 of the new, safer rear guards, and from Virginia Tech students who showed us their own new design for a stronger, safer rear guard. Those students almost made me cry. They were undergraduates, the project assigned to them was to build a better rear guard for a semi truck. They, like most people, had never heard of underride crashes before. 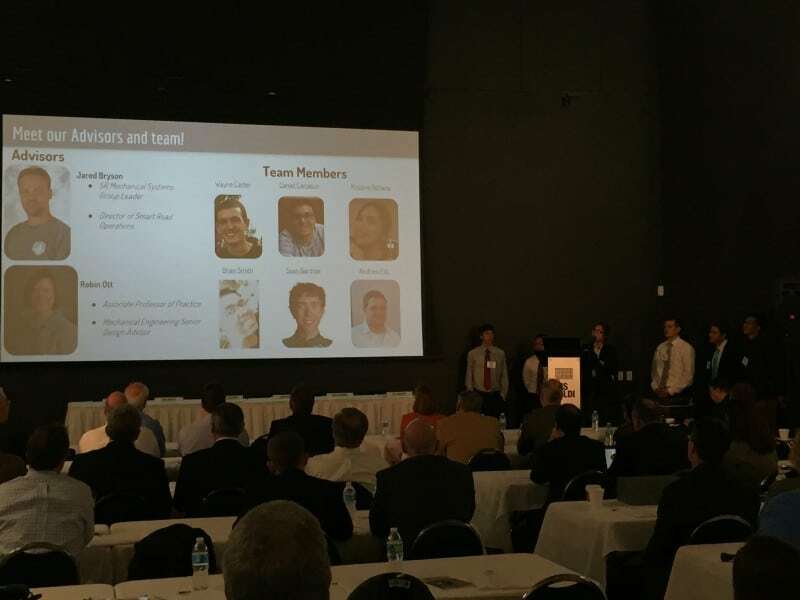 They learned about the problem, dreamed up a number of potential solutions, weeded their options down to four, and then figured out which one was the most plausible, most acceptable to both the trucking industry and safety advocates. And then they built a it. Incredibly 18 and 19 year old young people spent a year on this project, realized the importance of their work, and were brave enough to come and speak about it to a group of adults working in the industry. They were excited about their design and proud to show it off. And a room full of jaded adults sat respectfully listening, leaning forward, following along, congratulation the students at the end for a good design, inviting them to join the industry after they graduate. To think that this whole room of people, including the kids, was there to make the roads safer for everyone. Well. That just about made me tear up. It should make you tear up too. Because change is happening. It’s happening because we’ve moved past regulations and asked the industry to listen and to do what’s right. And they are responding. Not everyone. And not every request. But some. And some change will lead to more change. And every step we make toward safety saves another life. Change is hard. But it’s not impossible. Big trucks need improved underride guards, trucking industry executives, government officials and safety activists agree, but opinions diverge sharply on the design and cost of the safety measures. 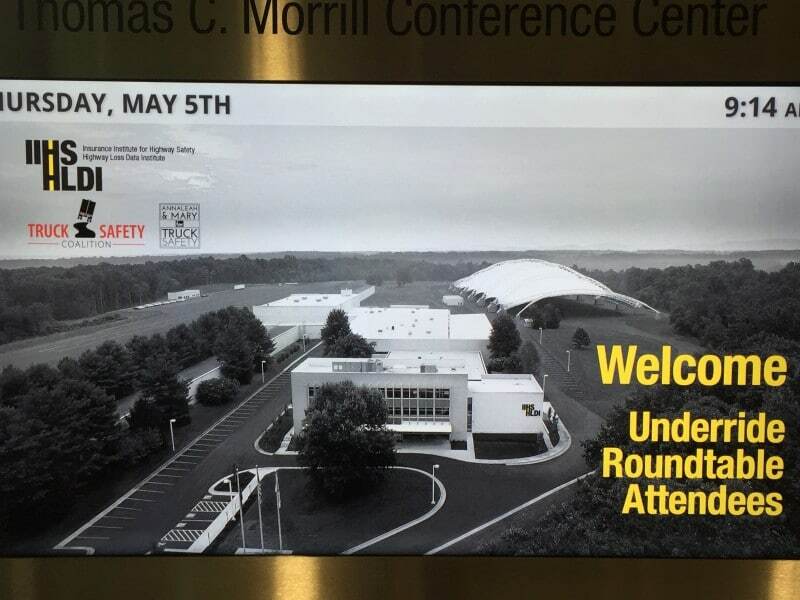 That’s what emerged from an all-day conference on deadly underride crashes at the Insurance Institute for Highway Safety’s Vehicle Research Center in Ruckersville, Va. Thursday. Big trucks “are not in any way crash-friendly,” said Robert Molloy, director of highway safety at the National Transportation Safety Board. Underride is when a passenger vehicle crashes into a semi-tractor trailer or a straight truck from behind or from the side and jams underneath, flattening the passenger compartment and injuring or killing the vehicle’s occupants. The term also describes what happens when bicyclists, pedestrians and motorcyclists slide under the body of a truck, usually from the side, and are in danger of being run over. The industry should “move heaven and earth to make the best-possible protection,” said Marianne Karth. Karth’s teenage daughters AnnaLeah and Mary, riding in the back seat, died from injuries in a 2013 underride accident. Karth’s Ford Crown Victoria was hit by a truck, spun, hit again and shoved backwards under another semi-trailer, flattening the rear of the passenger compartment. Federal regulations require trailers and some straight trucks to be equipped with rear underride guards – the bars than hang down on the back of trucks and trailers. In fact, regulation requiring modest underride guards have been in place in the U.S. since 1953. “It’s incredible that we have vehicles today that we can underride,” Molloy said. The traffic safety community has resolved similar problems previously, he said. As sport-utility vehicles became popular in the 1990s their high-riding stance increased damage to cars in crashes. 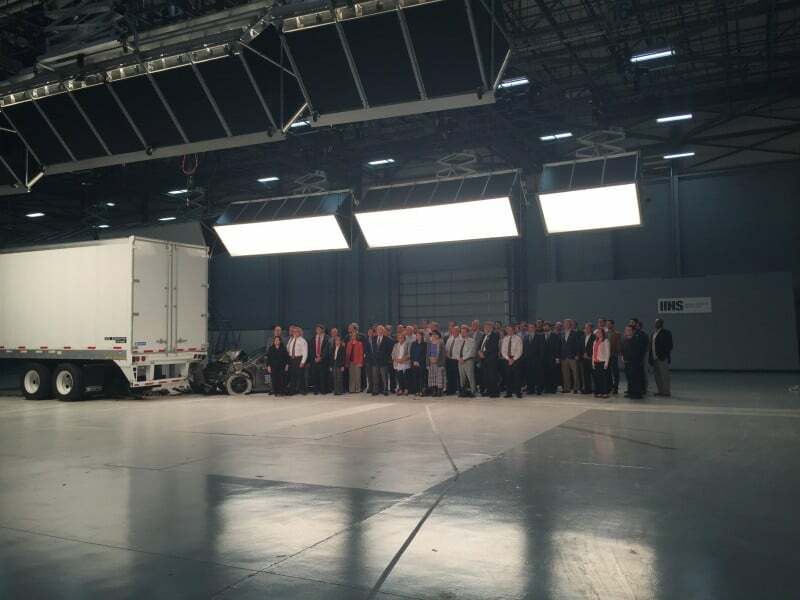 While acknowledging the truck problem, speakers at the roundtable differed on whether the guards should wrap around the truck or trailer, how much the extra weight might cut into payload, and how much the upgrades would increase cost. 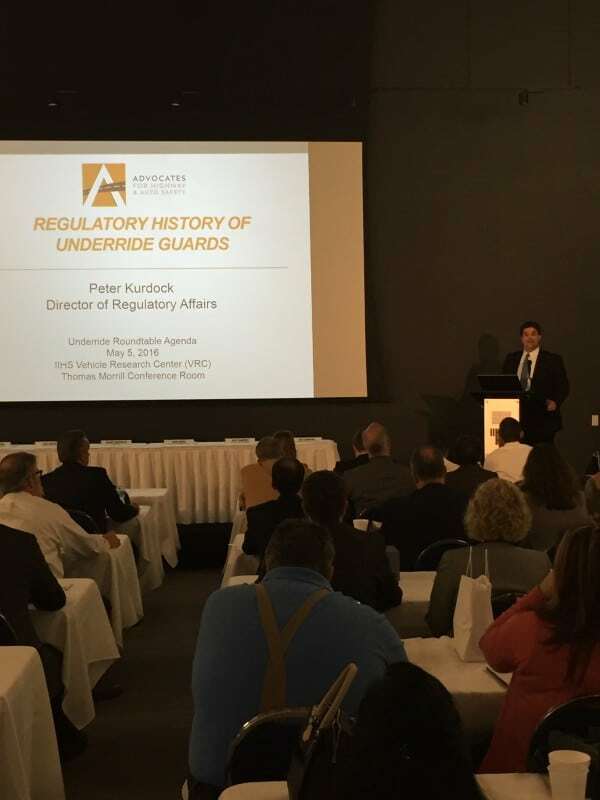 The National Highway Traffic Safety Administration is considering a new standard for the guards – partly because of a petition from Karth – but some participants at the roundtable argued that the any likely regulation won’t go far enough to prevent more deadly underride crashes. 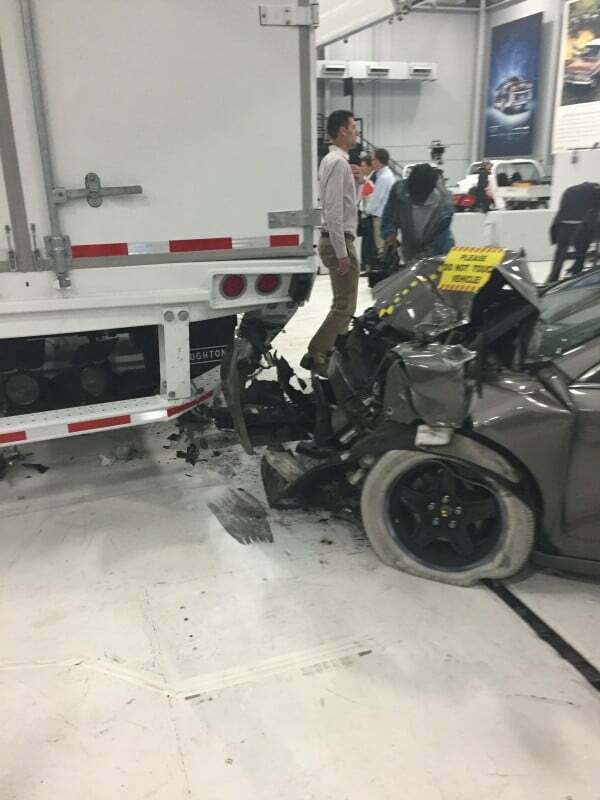 To demonstrate the problem, IIHS, an insurance industry trade group, crash-tested the latest-design Stoughton trailer, slamming a 2010 Chevrolet Malibu mid-size sedan into the back of the stationary trailer hooked to a semi-tractor and laden with 34,100 lbs. 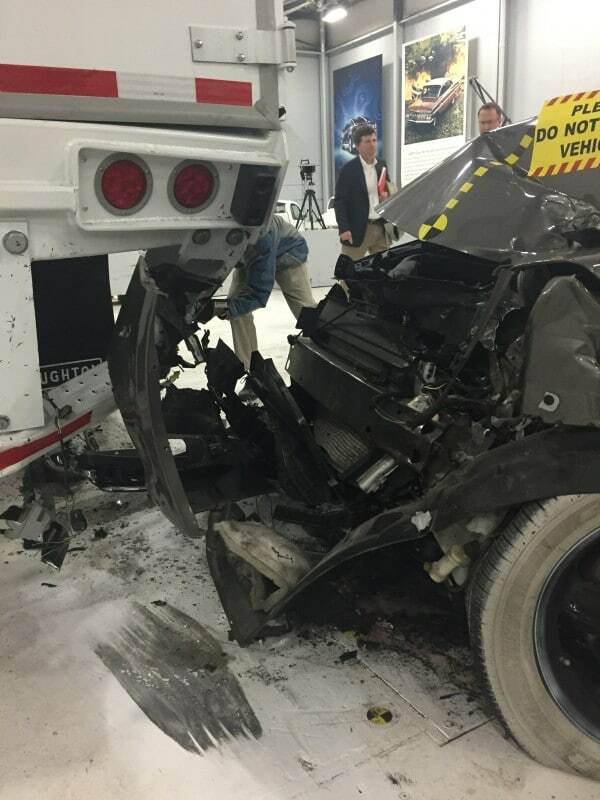 The test, which IIHS called successful, showed that the trailer’s new-design rear underride guard didn’t intrude into the passenger compartment, making the crash survivable. The test was what’s called a 30 percent, where a portion of the driver’s side of the car smashes the underride bar. The collision occurs at 35 mph, the speed at which federal regulations require that a vehicle is strong enough so that its occupants survive a crash. Stoughton says the new-design rear bars will be standard starting late this year, but refused to provide a cost figure. The company did say the beefier bars would add very little weight, thus not cutting into payload capacity of the trailers. The biggest change: Four supports across the horizontal bar, not just two. The new ones are on the outer ends of the bar, and all are fastened to a more robust undercarriage, Stoughton says. 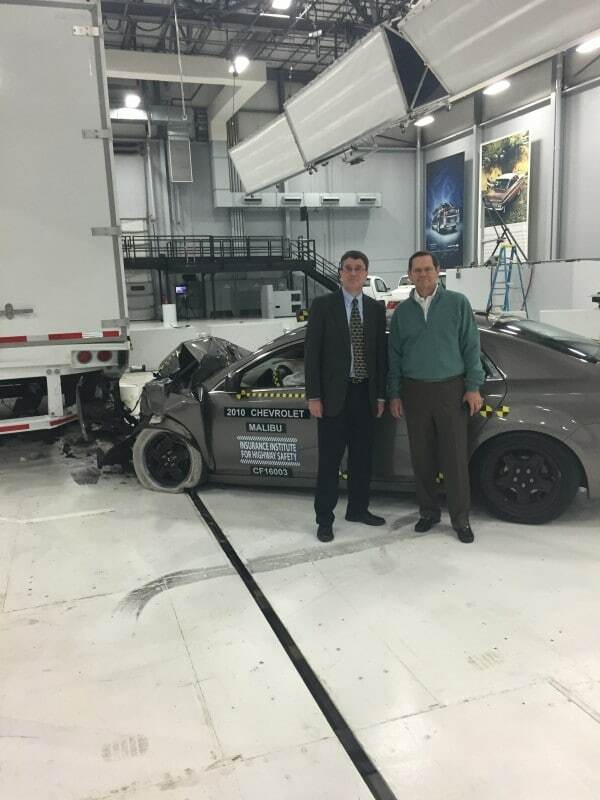 As recently as 2013, only Manac had trailers with underride bars that passed the institute’s 30% offset crash test. Now, Vanguard, Wabash and Stoughton trailers also make the cut. 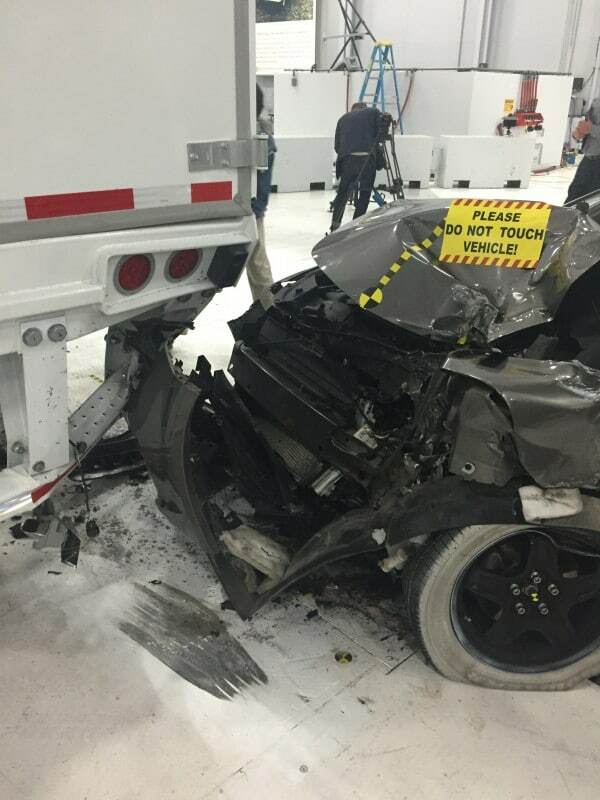 Trailers from Great Dane, Hyundai, Strick and Utility don’t past the test, the institute said. One manufacturer said the fix is easy and not expensive. 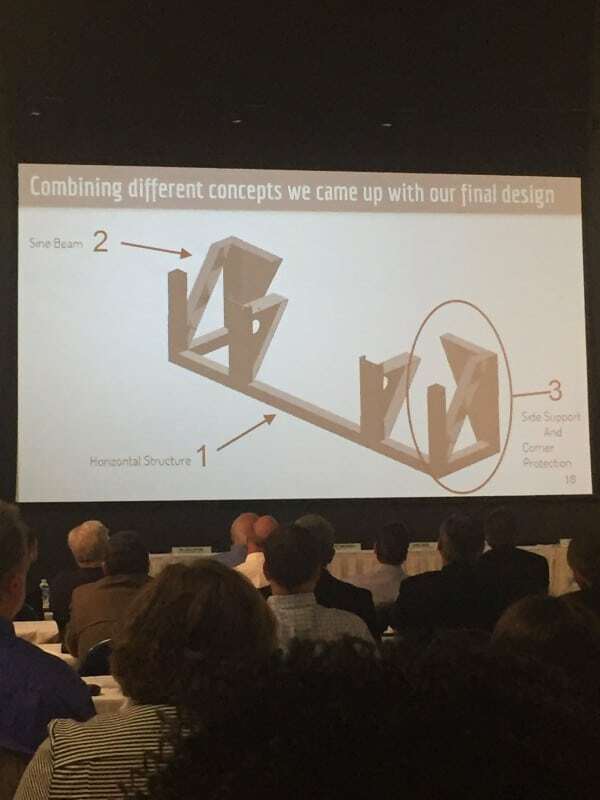 Moving the supports farther apart and strengthening the trailer floor to protect cars can be done for $20, and adds just 20 lbs., said Charles Dutil, president of Trailer-maker Manac. NHTSA has said the fix is much costlier, averaging $2,000. IIHS disputes that figure as too high. Regardless, the cost and extra weight – 60 lbs. 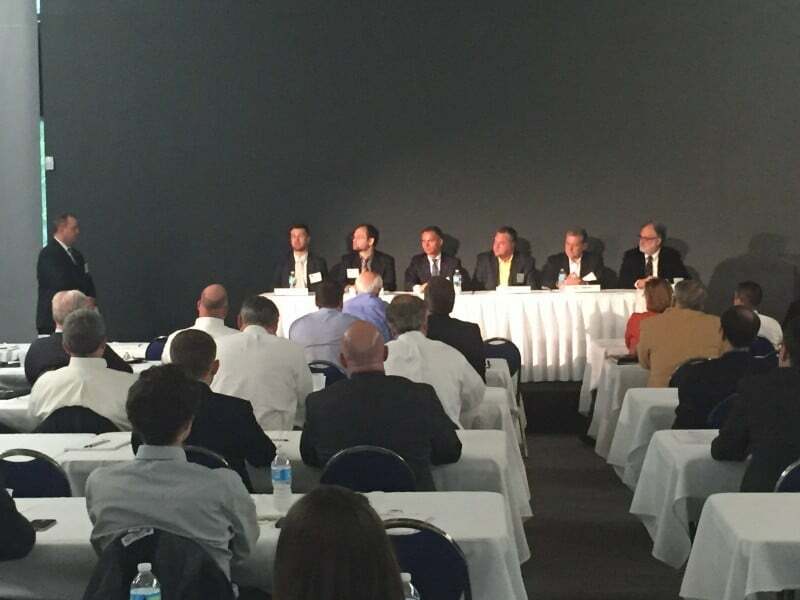 was mentioned several times here — are unlikely to be undue burdens for independent owners-operators, said John Housego of Cary, N.C., who attended the roundtable. He owns a 2010 Freightliner semi-tractor, a 2015 Great Dane trailer and leases an older temperature-controlled trailer when needed for a job. Housego said he’s willing to spend $1,000 or more on a rear underride-guard retrofit unit that would meet any new federal standard for the rig he owns, but not for a leased trailer. 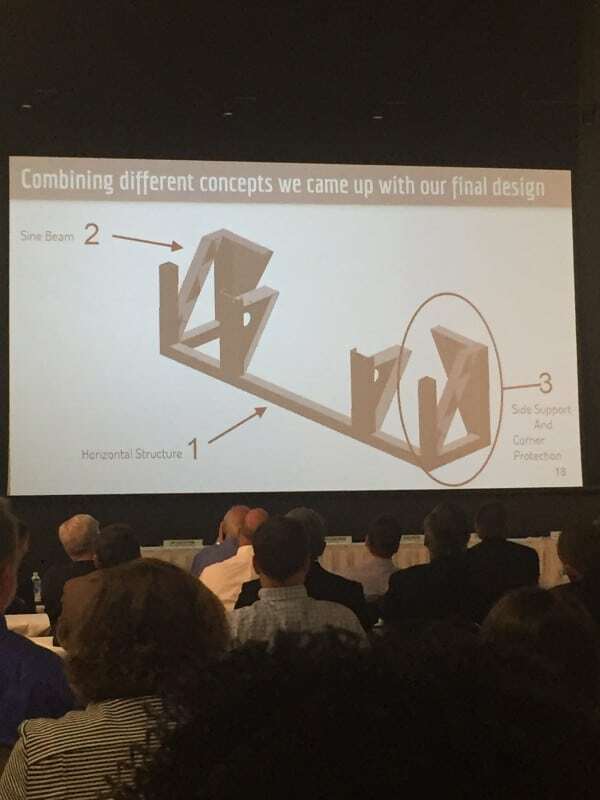 He also agreed with industry representatives on a panel who said semi-trailer side skirts now used for fuel-saving streamlining could be made more rugged so they’d also serve as underride prevention devices in side crashes. 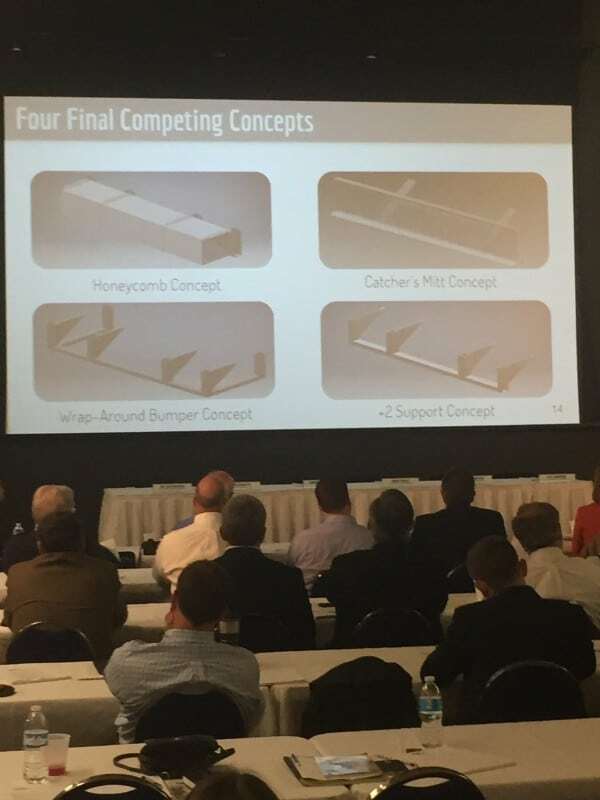 Panelist Robert Martineau, chief executive of Airflow Deflector, says his panels easily could be made sturdier to serve as crash bumpers as well as aerodynamic aids. He said he couldn’t say what the cost would be until he knows how much force such a panel would be required to withstand. 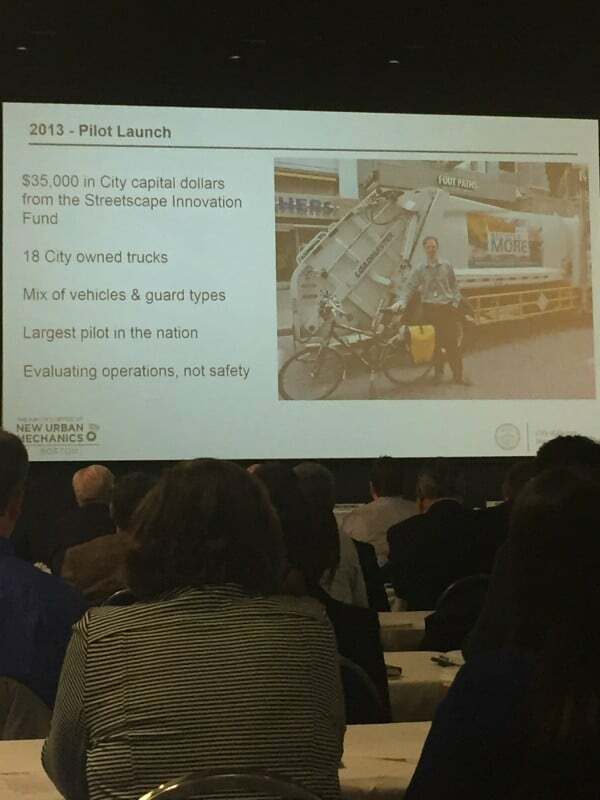 Officials from New York and Boston at the conference said they put side guards on city-owned trucks, such as waste haulers, and require companies that contract with the cities to install side guards to protect pedestrians, bicyclists and motorcycle riders. There’s uncertainty over the seemingly straightforward notion of how many people are killed each year in all types of underride accidents. Federal data from the widely used Fatality Analysis Reporting System logged 5,081 deaths from 1994 to 2014. Yearly counts range from a low of 198 in 2001 to a high of 299 in 2002. The 2014 count is 228; 2015 data aren’t available yet. 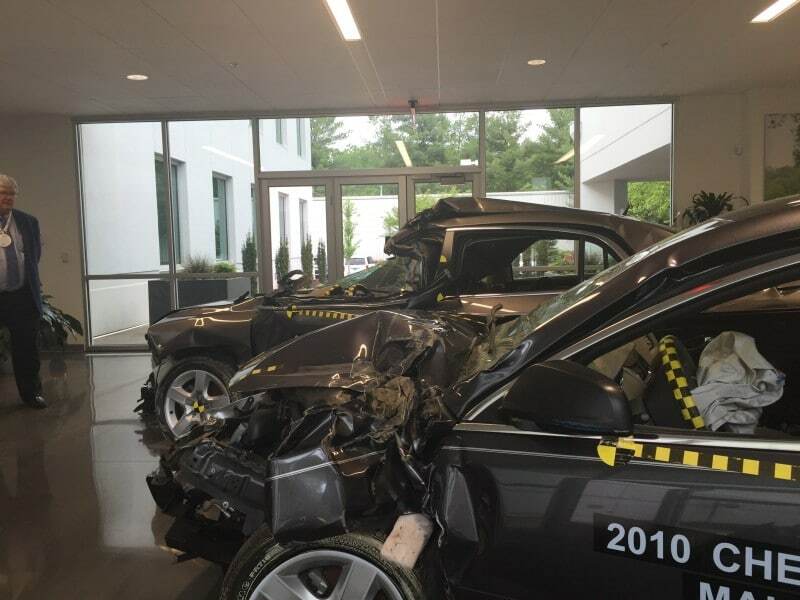 But a September 2013 report from the Association for the Advancement of Automotive Medicine calculated that fatalities from one type of underride collision, the side-crash, are about three times as frequent as the federal data indicates. That’s why some critics are saying the federal data does not represent an accurate fatality count from all types of underride crashes. MEMPHIS, TN – A Memphis couple traveled to Virginia as part of their mission to turn their tragedy into action. In November 2014, 33 year old Michael Higginbotham died when his car crashed into a tractor trailer on Walnut Grove near I-240. The truck driver was making an illegal U-turn. His parents, Laurie and Randy, began working with advocacy groups to improve truck safety features so another family will not have to go through the same pain. “He was just a wonderful young man making it in the world doing what you’re supposed to do: having a job, paying taxes, being a productive citizen and all that was taken away on November 18 of 2014,” said Michael’s mother Laurie Higginbotham. It has been roughly a year and a half since Michael was killed in a car crash with a semi truck on Walnut Grove. It happened after midnight. The 33 year old was going east on Walnut Grove Road and had just crossed Yates Road when he hit the truck’s trailer. “Because none of the airbags or anything like that came into play he was killed instantly,” recalled Laurie. 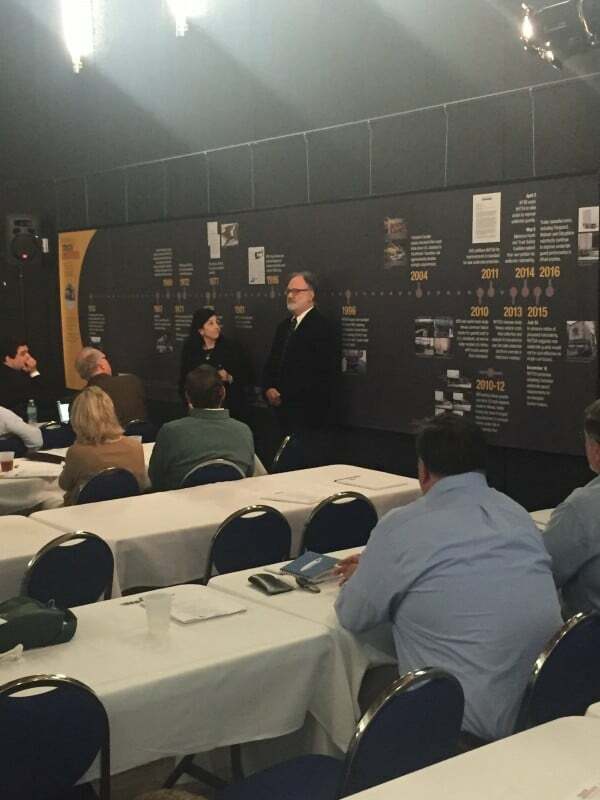 This week the Higginbothams drove to Virginia for a national conference on truck underride crashes. Government and industry leaders will talk about solutions to reduce truck underride deaths and injuries. The gathering is part of the couple’s new normal to try and help others. “You shouldn’t have to bury your children. Losing a child is the toughest thing that’s ever happened to me,” said Randy Higginbotham. 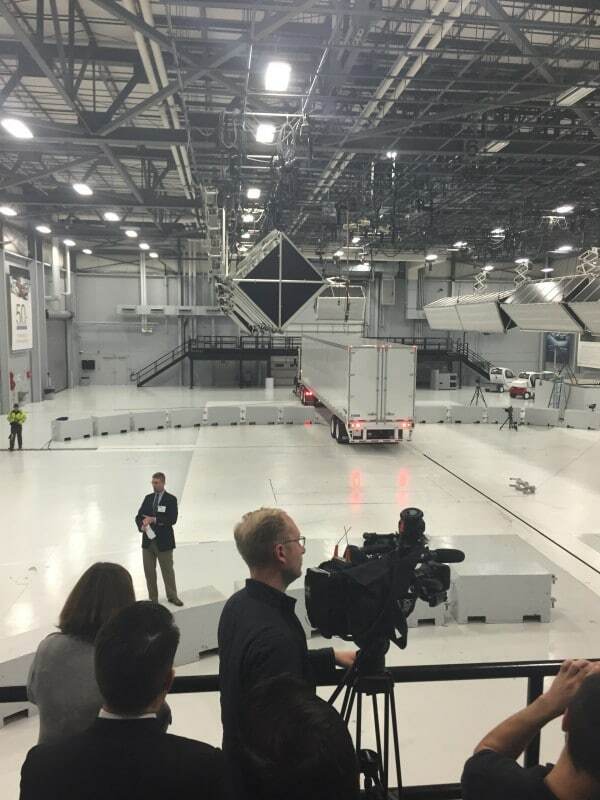 A crash test of a truck with an improved underride guard will take place at the conference tomorrow. Arlington, VA (May 5, 2016) – At a time when truck crashes are increasing nationwide and truck safety rules are under attack by special interests in Congress, the Truck Safety Coalition (TSC) recognizes three individuals who stand out for their safety leadership in the motor carrier industry. This happens against the backdrop of the U.S. Senate scheduled next week to take up a transportation spending bill, which includes a provision to roll back the federal rule governing the maximum hours a truck driver can drive and work. Their efforts within their own companies underscore why each of these trucking executives continue to be examples of how good corporate policies can also have good public health and safety results. 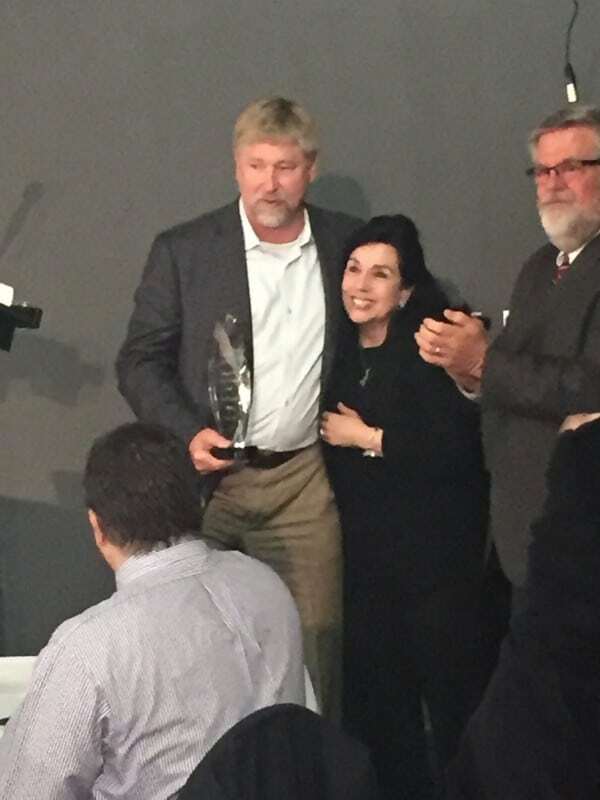 The Truck Safety Coalition presented the Distinguished Safety Leadership Award to Greer Woodruff, Senior Vice President of Safety, Security, and Driver Personnel of J.B. Hunt Transport Services, Inc. for his outstanding and longtime dedication to improving truck safety. 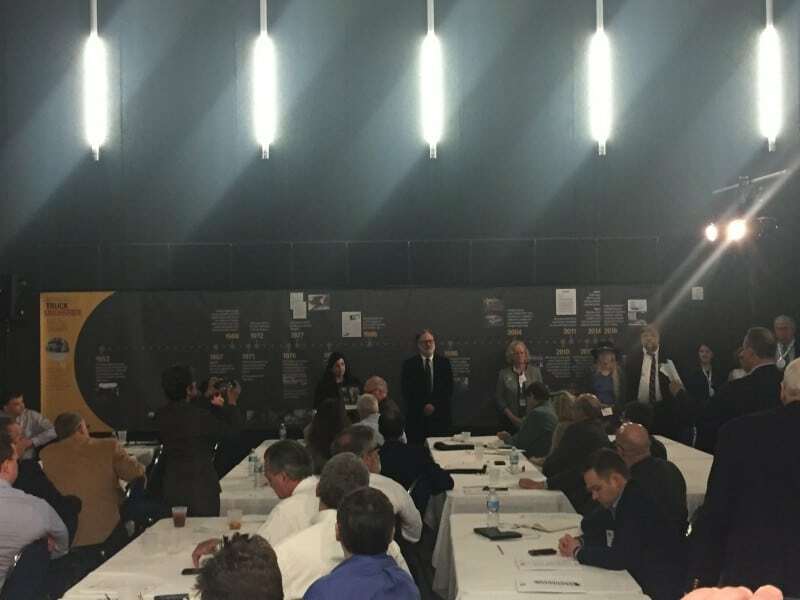 The award was presented during the Underride Roundtable at the Insurance Institute for Highway Safety’s testing facility in Ruckersville, VA. 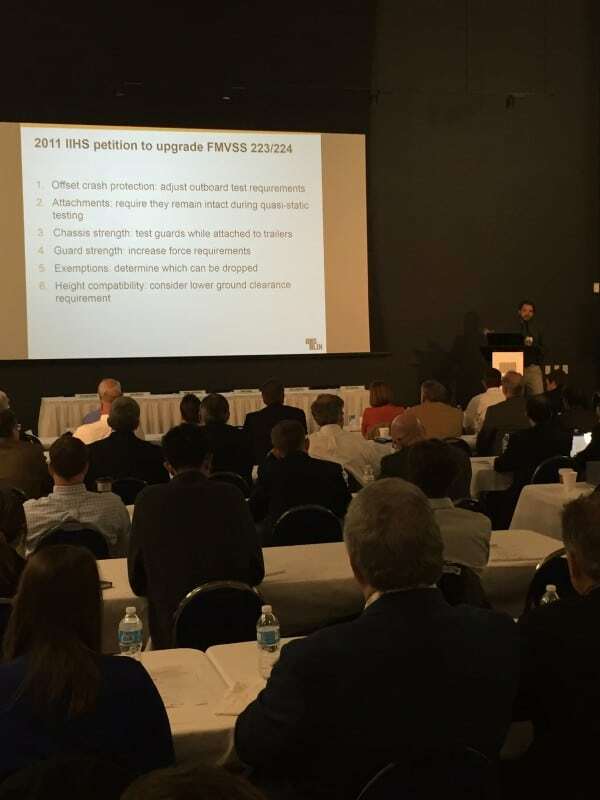 The conference brought together researchers, safety advocates, government officials, and industry leaders to discuss truck underride crashes, examine the scope of the problem, and determine how to reduce the risks for passenger vehicle occupants through regulation and voluntary action. 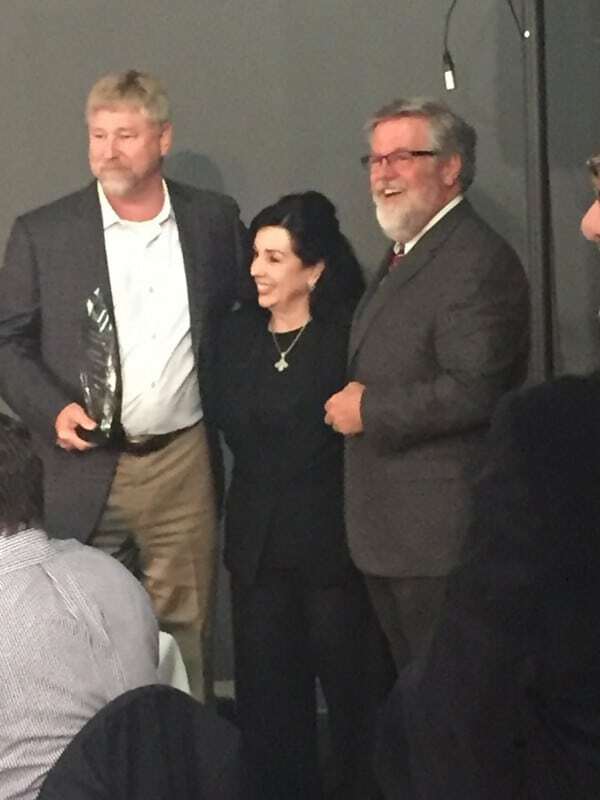 The Truck Safety Coalition also announced that Reggie Dupre, CEO of Dupre Logistics, LLC, and Steve Williams, Chairman and CEO of Maverick USA Inc. will receive the Truck Safety Leadership Award at a later date. The Truck Safety Coalition is made up of Citizens for Reliable and Safe Highways (CRASH) and Parents Against Tired Truckers (PATT). 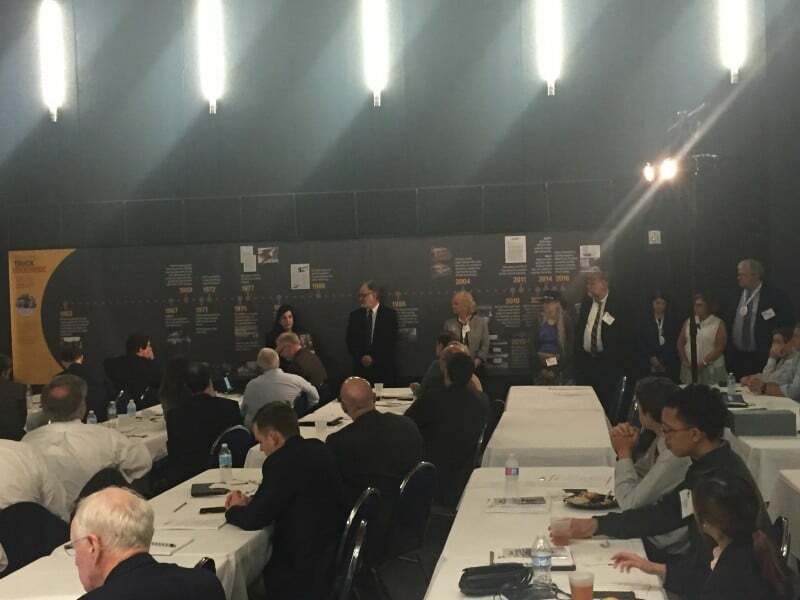 The Truck Safety Coalition is dedicated to reducing the number of deaths and injuries caused by truck-related crashes, providing compassionate support to truck crash survivors and families of truck crash victims, and educating the public policy-makers and media about truck safety issues. 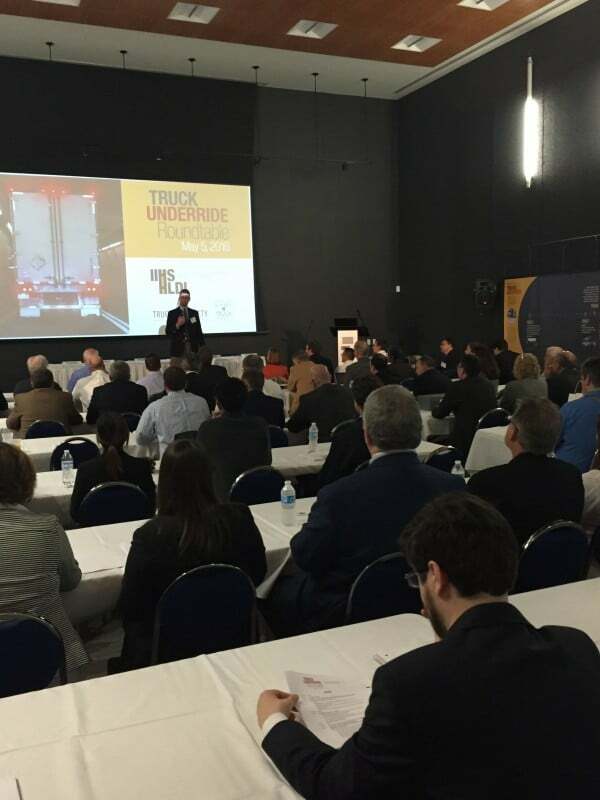 Please join us as researchers, government officials and industry leaders gather to discuss truck underride crashes and how to reduce the risks for passenger vehicle occupants. We will explore the scope of the problem and how regulation and voluntary action can help address it. 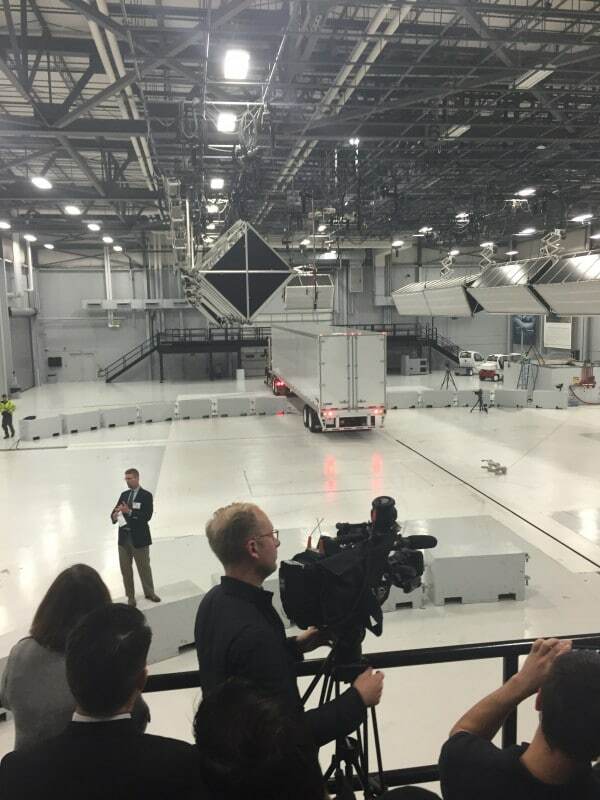 In a crash test, IIHS researchers will demonstrate how underride protection has already improved. The full agenda and additional details will follow in the coming weeks. located at 212 Ridge McIntire Rd, Charlottesville, VA 22903.
located at 2100 Bond Street, Charlottesville, Virginia, 22901. J.B. Hunt Transport Services, Inc., (NASDAQ:JBHT) one of the largest transportation logistics companies in North America, announced today that it recently ordered 4,000 Wabash National DuraPlate® dry van trailers that include the new RIG-16 Rear Underride Guard System. This new rear impact guard is engineered to prevent underride in multiple offset, or overlap, impact scenarios. The guard reduces the risk of injury or death for individuals involved in an accident with the rear of a trailer. The rear impact guard is made of advanced, high-strength steel. It includes two additional vertical posts and a longer, reinforced bumper tube. This design will better absorb the impact should any part of the bumper become engaged in a collision. Additionally, the guard is formulated to resist corrosion. 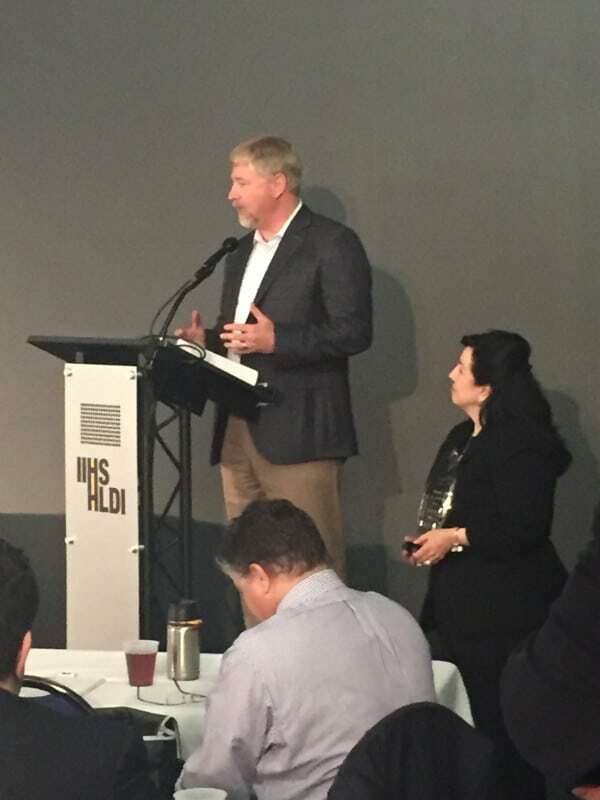 Production of units specifically for J.B. Hunt began in January. Wabash National formally unveiled this new technology at the American Trucking Associations’ Technology and Maintenance Council annual meeting in Nashville, Tennessee last month. J.B. Hunt Transport Services, Inc., a Fortune 500 and S&P 500 Company, focuses on providing safe and reliable transportation services to a diverse group of customers throughout the contiguous United States, Canada and Mexico. Utilizing an integrated, multimodal approach, the company provides capacity-oriented solutions centered on delivering customer value and industry-leading service. J.B. Hunt Transport Services, Inc. stock trades on NASDAQ under the ticker symbol JBHT and is a component of the Dow Jones Transportation Average. J.B. Hunt Transport, Inc. is a wholly owned subsidiary of JBHT. For more information, visit www.jbhunt.com. Wabash National Corporation, a leading manufacturer of commercial trucking equipment, announced that it will be introducing a new rear impact guard for trailers. As TSC noted in our comments on NHTSA’s notice of proposed rulemaking (NPRM) to address underride protection in light vehicle crashes into the rear of trailers and semitrailers, this is just one example of available technology that highlights how woefully inadequate the agency’s safety standards are for trucking. Currently, NHTSA is proposing to enhance the U.S. standard by adopting the Canadian standard for rear underride guards and protections. While we welcome improvements to safety, we also noted that NHTSA’s NPRM would be a meaningless move and a missed opportunity to actually advance truck safety. Not only did the agency determine that 93 percent of new trailers meet or exceed the proposed Canadian standard, but as Wabash notes in this article, it has been producing rear impact guards that exceed the Canadian standard since 2007. TSC appreciates the Wabash improved guards and we will continue to educate the public about the dangers of underride crashes, like passenger compartment intrusion (PCI), as well as how improved underride guards and protections can prevent PCI at higher speed and/or overlap crashes between light vehicles and trailers. Side underride guards are a simple improvement that can make large trucks safer for pedestrians and cyclists by physically covering the cavity between the front and rear wheels of the truck. Given that nearly half of bicyclists and more than one quarter of pedestrians killed by a large truck first impact the side of a truck, TSC will continue to advocate for these safety enhancements on all interstate single unit trucks and trailers. Please watch this video from the British Safety Council (below) that illustrates the dangers of trucks’ blind spots and underscores why these side protections would reduce the instances of side impact truck crashes with pedestrians and bicyclists that result in needless fatalities and injuries. This NPRM proposes to upgrade Federal Motor Vehicle Safety Standard (FMVSS) No. 223, “Rear impact guards,” and FMVSS No. 224, “Rear impact protection,” which together address rear underride protection in crashes into trailers and semitrailers. NHTSA is proposing to adopt requirements of the Canada Motor Vehicle Safety Standard (CMVSS) for underride guards (CMVSS No. 223, “Rear impact guards,”) that became effective in 2007. The CMVSS No. 223 requirements are intended to provide rear impact guards with sufficient strength and energy absorption capability to protect occupants of compact and subcompact passenger cars impacting the rear of trailers at 56 km/h (35 mph). As the current requirements in FMVSS Nos. 223 and 224 were developed with the intent of providing underride crash protection to occupants of compact and subcompact passenger cars in impacts up to 48 km/h (30 mph) into the rear of trailers, increasing the robustness of the trailer/guard design such that it will be able to withstand crash velocities up to 56 km/h (35 mph) represents a substantial increase in the stringency of FMVSS Nos. 223 and 224. This NPRM also proposes to adopt Transport Canada’s definition of “rear extremity” to define where on a trailer aerodynamic fairings are to be located to avoid posing a safety hazard in rear underride crashes. Rear underride crashes are those in which the front end of a vehicle impacts the rear of a generally larger vehicle, and slides under the rear-impacted vehicle. Underride may occur to some extent in collisions in which a small passenger vehicle crashes into the rear end of a large trailer or semi-trailer because the bed and chassis of the impacted vehicle is higher than the hood of the passenger vehicle. 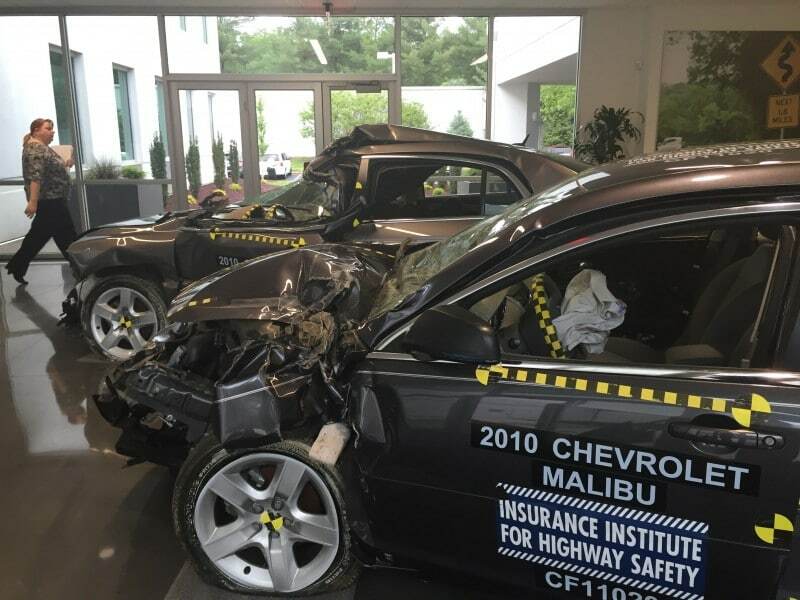 In excessive underride crashes, there is “passenger compartment intrusion” (PCI) as the passenger vehicle underrides so far that the rear end of the struck vehicle collides with and enters the passenger compartment of the striking passenger vehicle. PCI can result in severe injuries and fatalities to occupants contacting the rear end of the struck vehicle. An underride guard prevents PCI when it engages the striking end of the smaller vehicle and stops the vehicle from sliding too far under the struck vehicle’s bed and chassis. The occupant crash protection features built into today’s passenger vehicles are able to provide high levels of occupant protection in 56 km/h (35 mph) frontal crashes. (1) If guards were made stronger to remain in place and prevent PCI in crashes of severities of up to 56 km/h (35 mph), the impacting vehicle’s occupant protection technologies could absorb enough of the crash forces resulting from the impact to significantly reduce the risk of fatality and serious injury to the occupants of the colliding vehicle. Some of Dustin Weigl’s fondest memories of his older brother, Christopher, include their long-winded arguments about which to spread first, peanut butter or jelly, on a sandwich. But that banter between brothers ended in 2012, when Christopher, a 23-year-old Boston University graduate student, was killed by a truck as he rode his bicycle in Boston. “My world was absolutely shattered in a way that can never really be repaired,” Weigl said. His voice cracking at times, he testified before the Legislature’s Joint Committee on Transportation Wednesday in support of two bills that would require the installation of protective side guards on certain large vehicles. He said the safety gear could have saved his brother’s life. The bills were filed by Representative Daniel Hunt and Senator William Brownsberger, who say bicyclist fatalities often occur when large vehicles take sharp turns and riders fall beneath the vehicles’ rear wheels. Side guards between the front and back wheels help push cyclists away from the vehicle. The guards can be installed on existing trucks or built into new vehicles. The lawmakers said side guards and convex mirrors, which would give drivers better visibility, could help reduce bicyclist and pedestrian deaths. “It’s the appropriate response to a very real issue that the city and the state is facing,” Hunt said. At least five people died in crashes with trucks in Boston in the past four years, city officials testified at the hearing. The latest was in August, when Cambridge resident Anita Kurmann was killed while bicycling near the intersection of Massachusetts Avenue and Beacon Street. The truck had neither side guards nor convex mirrors, officials said. “If you look at communities around the Commonwealth, these tragedies are playing out in Cambridge, Brockton, Malden, Northampton, and Wellesley, just to name a few,” said Kris Carter, cochairman of Boston’s New Urban Mechanics office. Carter testified while sitting alongside Weigl. Boston passed a side-guard ordinance in 2014, following a successful pilot program. Billed as a US first, it requires all large city-contracted vehicles to be fitted with side guards. But Carter said trucks that are not contracted by the city aren’t required to have the guards, and the city doesn’t have authority to expand the requirement to other trucks. Members of the Boston Cyclists Union and Massachusetts Bicycle Coalition also spoke in favor of the bills. The committee also heard testimony about several other bills designed to keep vulnerable road users safe. One, also filed by Brownsberger, would make it illegal for a motorist to double-park or to idle in lanes designated specifically for cyclists. A violation of the law would lead to a fine of $100. Another bill would require at least 3 feet of space between cars passing bicyclists or joggers, and even more distance if the car is traveling faster than 30 miles per hour. Meghan McGrath, an emergency medical doctor who works at Lahey Hospital and Medical Center in Burlington, said her husband was riding in a bike lane last year when he was cut off by a car, causing him to fall off of the bicycle, split his helmet open, and break his hand. Brianna Arnold, a political science major at Stonehill College whose uncle was killed last week while riding his bicycle in Worcester, agreed. Tears welling in her eyes, Arnold recalled her uncle’s love for biking. at steve.annear@globe.com. Follow him on Twitter @steveannear. One of the issues the Truck Safety Coalition advocates for is that all trucks and trailers are equipped with energy-absorbing rear impact guards mounted lower to the ground (16 inches), with vertical supports spaced farther apart (mounted 18 inches from the side edges) to effectively protect car occupants from death and injury in rear impact crashes. This safety technology is proven and well known. Additionally, we believe that actions must be taken to improve the current rear guard regulation and to include side panel and front underride (also referred to as front override) guard requirements. A recent Volpe article announced that Boston Mayor Marty Walsh has proposed a rule to the Boston City Council requiring side guards on all large city vehicles or trailers. 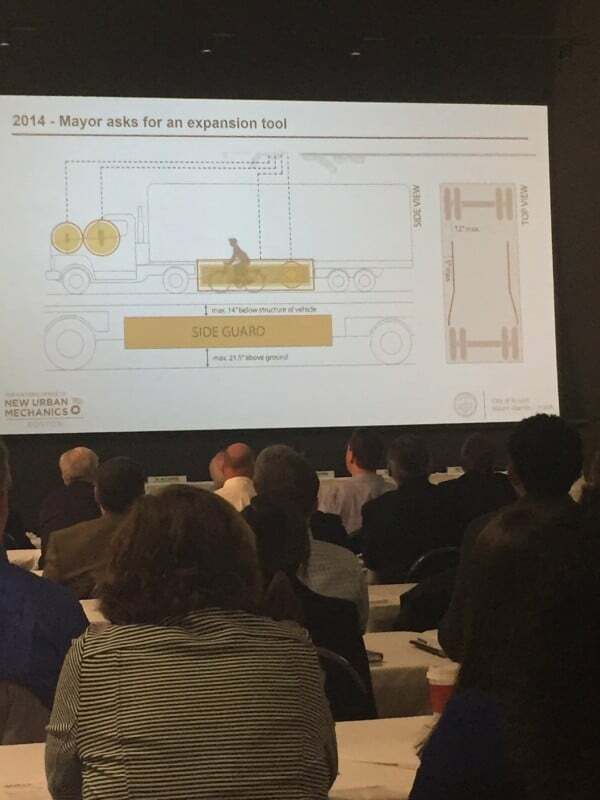 On September 8, Mayor Walsh proposed an ordinance that would require side guards on all city vehicles or trailers exceeding a gross weight of 10,000 pounds and on semi-trailers exceeding a gross weight of 26,000 pounds. Side guards, which are installed on large trucks to protect bicyclists and pedestrians from falling underneath the vehicle, helped reduce bicyclist fatalities by 61 percent and pedestrian fatalities by 20 percent in the United Kingdom in side-impact crashes after side guards were required on most heavy-duty vehicles. Two of our volunteers are now featured in two recent articles published by Bloomberg News. In these articles, Marianne Karth and Ed Slattery, speak out about their personal experiences on living after a tragedy. After Marianne lost two of her daughters, AnnaLeah and Mary, in a truck crash last year, she turned her pain into advocacy. Marianne started a petition directed at Secretary Foxx that accrued over 11,000 signatures. The petition urges the Department of Transportation Secretary to address the truck safety issues that could have helped prevent the truck crash that killed her daughters. In the petition, Marianne asks him to (1) raise the minimum levels of insurance required for truck drivers, (2) decrease driver fatigue and monitor their hours on the road with Electronic Logging Devices, and (3) take needed steps to improve underride guards. Karth turned to Facebook, created her own website and sent more than 11,000 petitions to pressure U.S. regulators, including Transportation Secretary Anthony Foxx, in a bid to force safer trucking practices and equipment. If there’s anything I can do to help prevent some other family from having to go through the same thing, then it’s worth it. Matthew is making slow and steady progress, yet will always need care. Their combined experiences add up to a tale of loss, forgiveness and denial that is still evolving. I love him so much it hurts. In response to reports released that show how regulators failed to identify an ignition defect in millions of G.M. cars that has been linked to at least 19 deaths, The New York Times published an editorial discussing how Congress needs to strengthen the National Highway Traffic Safety Administration (NHSTA), the federal agency responsible for investigating auto defects.The editorial points to a lack of funding from Congress as a reason for the agency’s failure to identify this defect. Truck safety also suffers from NHTSA’s small budget and staff. We are overdue on rulemaking for rear underride guards, side and front guards, speed governors, forward collision avoidance and mitigation systems and electronic stability control technology. Each year that these rules are not released results in serious injuries and loss of lives. WASHINGTON, D.C. (July 10, 2014)—Today, the National Highway Traffic Safety Administration (NHTSA) issued a grant of petition for rulemaking to evaluate options for increasing the safety of rear impact guards, or underride guards, on trailers and single-unit trucks. Underride guards are steel bars installed onto the back of truck trailers in order to help prevent passenger vehicles from sliding underneath a truck in the event of a crash. Truck safety advocates have long advocated for an improvement to the rear underride guard standard, as well as requirement for side and front guard protection systems. NHTSA’s decision to begin rulemaking is a victory for truck safety advocates who have been working toward improving the safety of underride guards for decades. During 2011, NHTSA reported that large truck rear impacts comprised 19 percent of the fatal two-vehicle collisions between large trucks and passenger vehicles, and that large truck side impacts comprised 15 percent of fatal two-vehicle collisions between large trucks and passenger vehicles. NHTSA plans on issuing two separate notices for underride guards. One is an advanced notice of proposed rulemaking focusing on single-unit trucks and the other is a notice of proposed rulemaking focusing on trailers and semitrailers. Each year 4,000 people are killed and another 100,000 people are injured in truck crashes. This is an unacceptably high number of losses and injuries, but most people don’t know about these numbers or the safety equipment that can protect people on the roads until they or someone they know has their lives forever altered in a crash involving a semi truck. 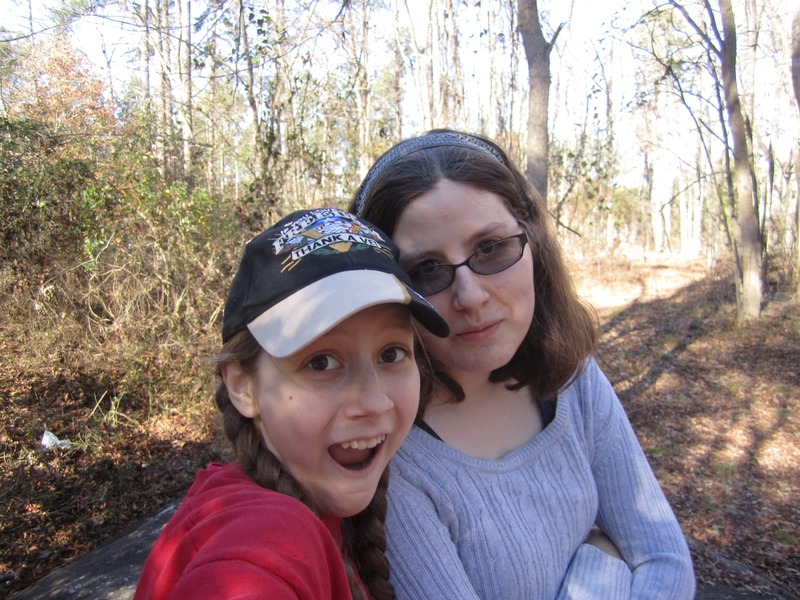 We found out the hard way all about how important truck safety is when AnnaLeah (age 17) and Mary (age 13) were killed in an accident involving two semi trucks on May 4, 2013. In a meeting on September 12th, 2013, with the Truck Safety Coalition and Secretary of Transportation Foxx to discuss truck safety issues, Foxx stated, “I can promise you tangible progress in a short period of time.” As a member of the Cabinet, Foxx has executive authority to make these changes. 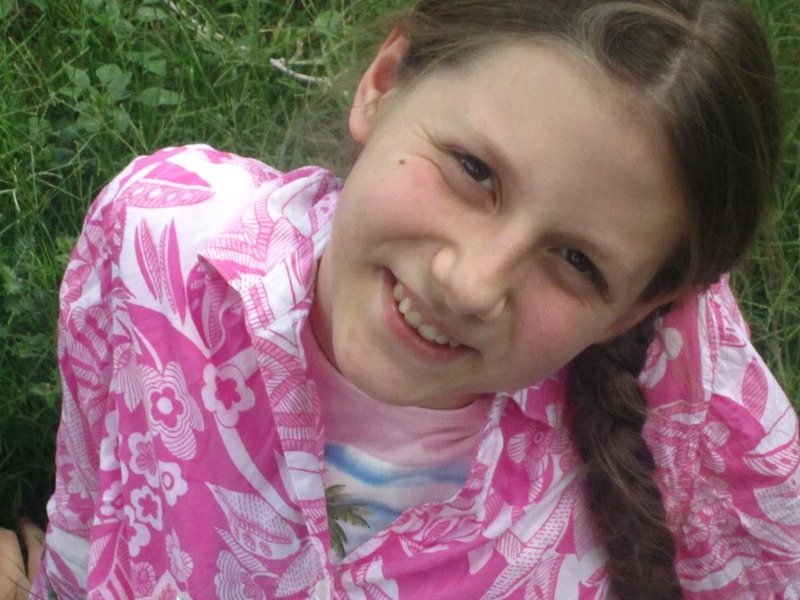 Click Here to Sign the AnnaLeah & Mary Karth Petition: STAND UP FOR TRUCK SAFETY. Raise minimum levels of insurance required for truck drivers–which has not been done for over 30 years. Decrease driver fatigue and monitor their hours on the road with Electronic Logging Devices. Take needed steps to improve underride guards, which prevent vehicles from sliding under trucks–causing horrific injuries and tragic deaths. We will print each signed petition and put them in separate envelopes. Then, on May 5, 2014, we will take these envelopes to Washington, D.C. and meet with DOT to remember AnnaLeah & Mary and to promote truck safety. 2. Organize efforts to get signatures from members of a group to which you belong. 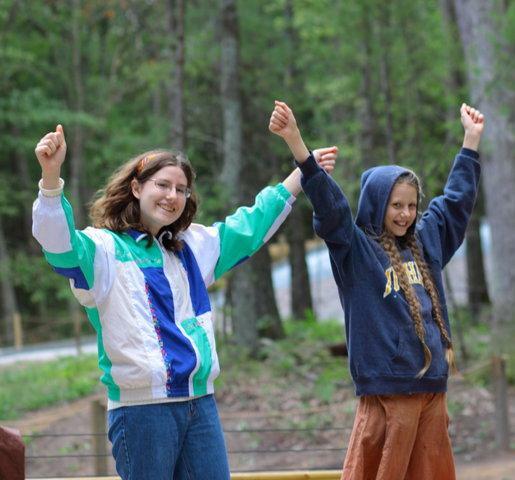 Advertise The AnnaLeah & Mary Petition: STAND UP FOR TRUCK SAFETY to your group. Encourage group members (and everyone else you know) to sign the online petition by providing them with this link: http://bit.ly/1gN3jQf . Arrange a time to have the printed petitions available for group members to sign—making sure that they include their contact information as indicated on the form. After our accident, we were contacted by volunteers from the Truck Safety Coalition–other people who had lost loved ones in truck crashes–and provided with helpful information and support in the wake of our tragedy.The Truck Safety Coalition is a partnership between The Citizens for Reliable and Safe Highways (CRASH) Foundation, and Parents Against Tired Truckers (P.A.T.T). The Truck Safety Coalition (TSC) is dedicated to reducing the number of deaths and injuries caused by truck-related crashes, providing compassionate support to truck crash survivors and families of truck crash victims, and educating the public, policy-makers and media about truck safety issues.For more information on truck safety issues and to sign up for newsletters and updates, please visit the rest of the Truck Safety Coalition’s website. Please pray for this effort to be fruitful and make a difference for those who travel on the roads of our country. 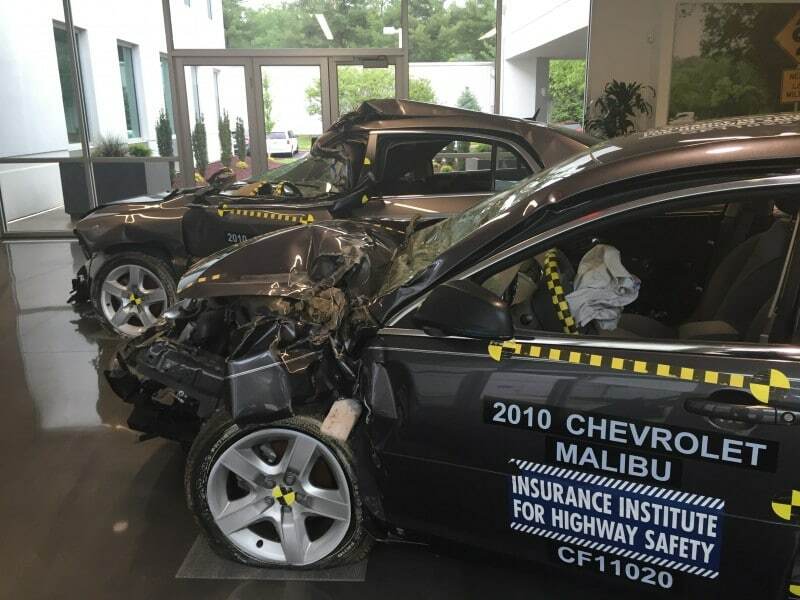 The Insurance Institute for Highway Safety is urging the government to change crash test regulations to better protect against underride crashes. Crash-test analysis by the Insurance Institute for Highway Safety shows that underride guards on tractor-trailers can fail even in relatively low-speed crashes, and the group is petitioning the federal government to require stronger guards that will remain in place during a crash and to mandate guards for more big rigs and trailers. Rear-impact guards on trucks are meant to guard against car crashes. WASHINGTON, April 30 /PRNewswire/ – A new study by the U.S. Department of Transportation’s National Highway Traffic Safety Administration (NHTSA) confirms that the reflective tape now being required to make trailers on big trucks easier to see is effective in preventing crashes.